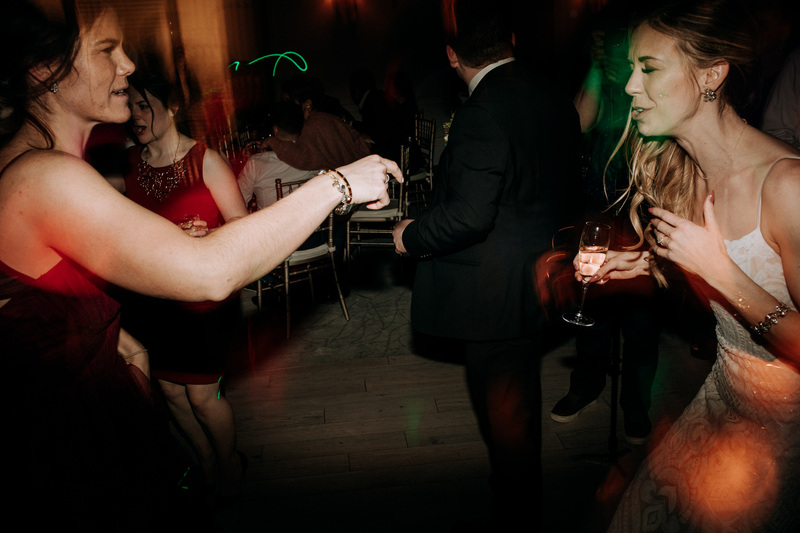 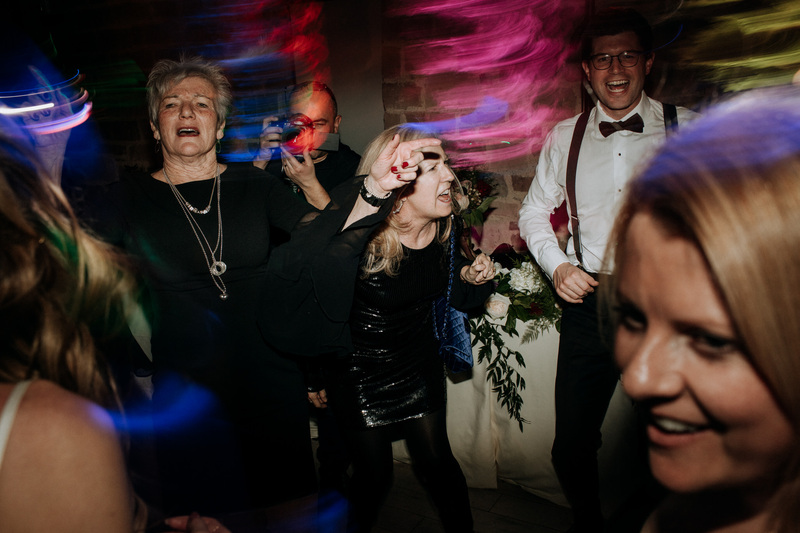 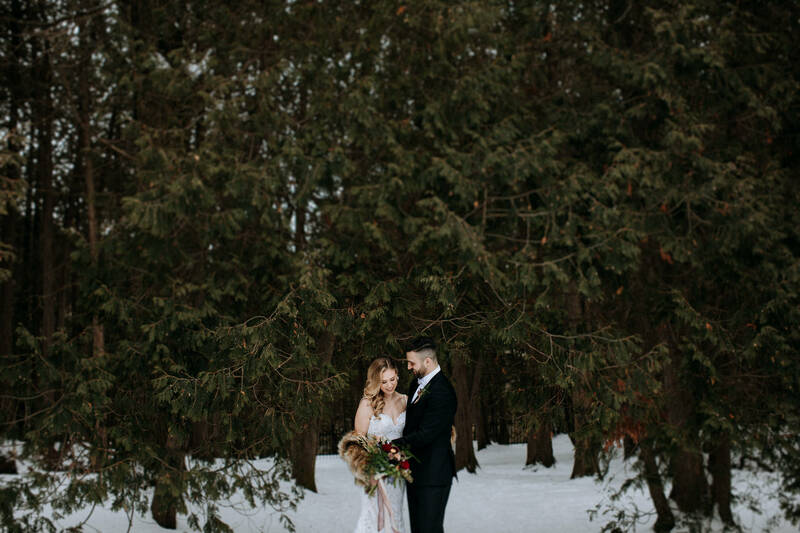 Winter weddings used to terrify me. 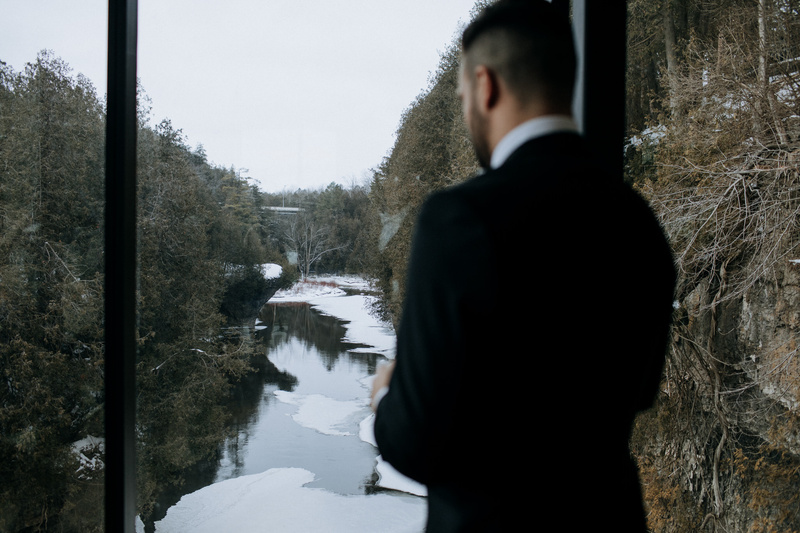 The thought of bad roads, being cold (and possibly wet), plus the short daylight hours just didn’t appeal to me. 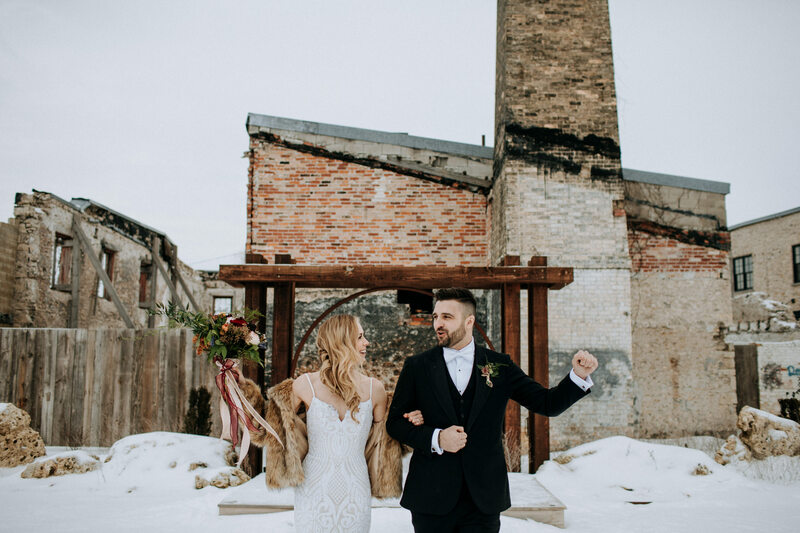 I avoided winter weddings big time. 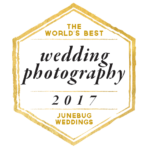 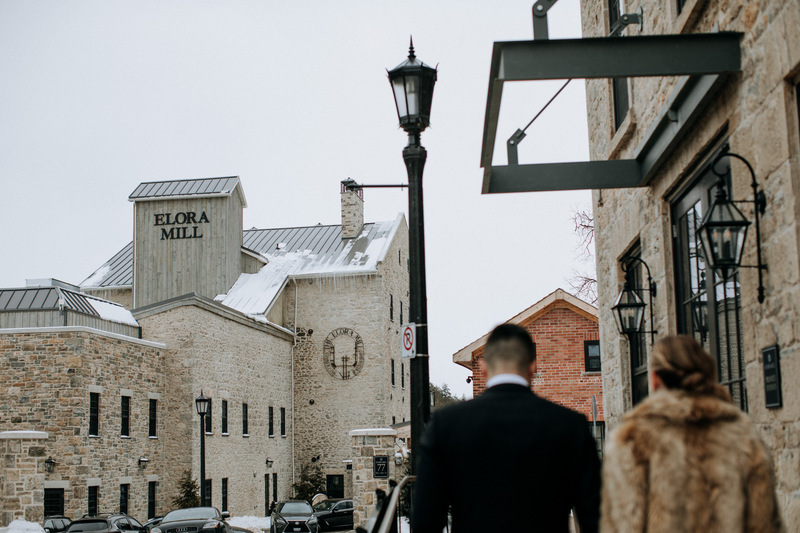 Enter this Elora Mill Wedding – one I welcomed with open arms and was actually thrilled about photographing. 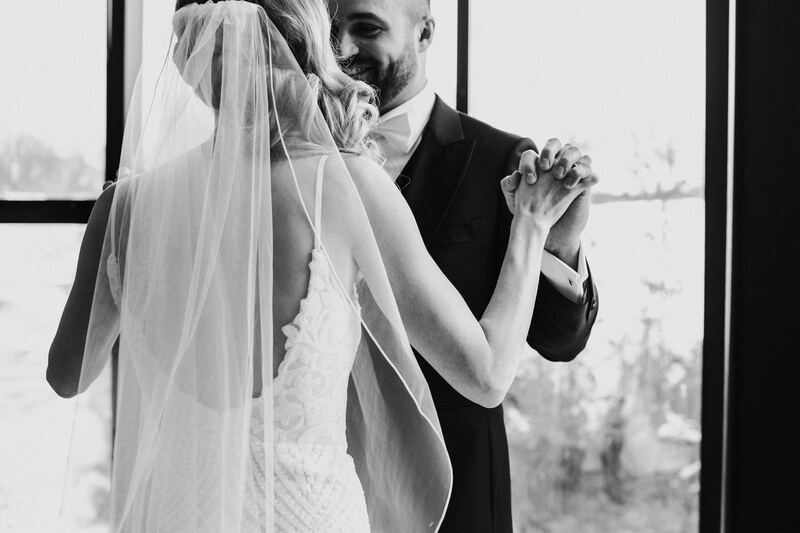 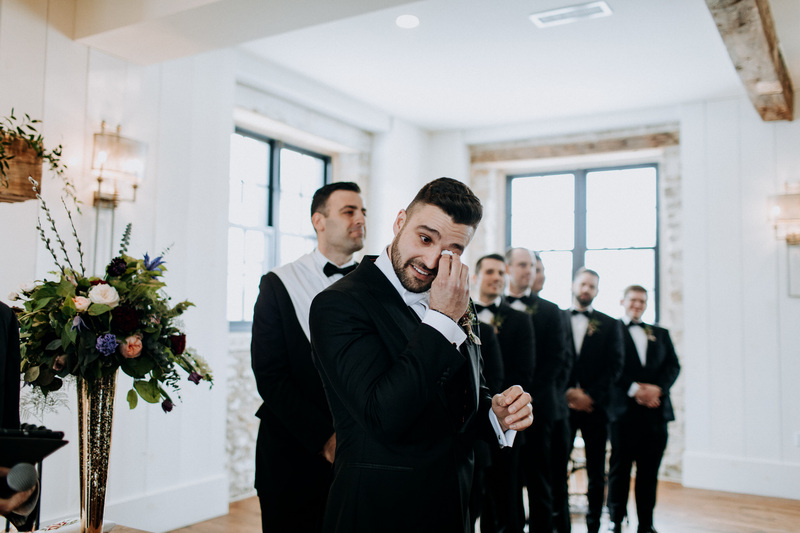 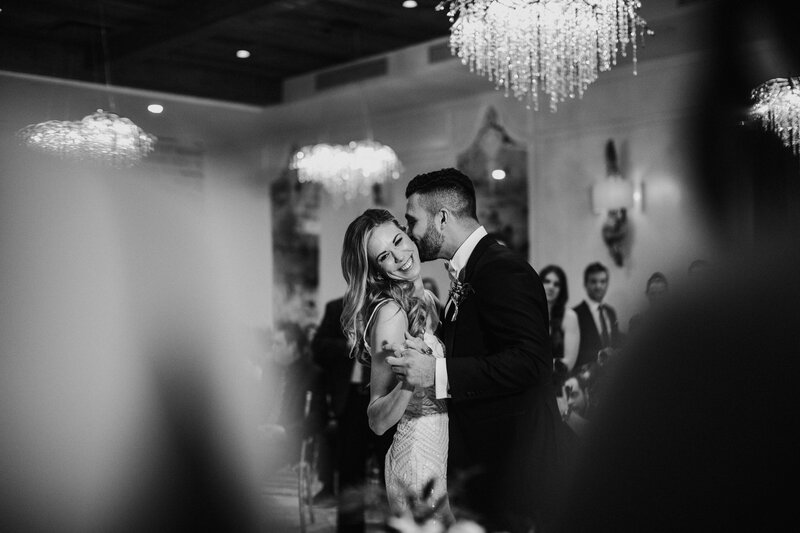 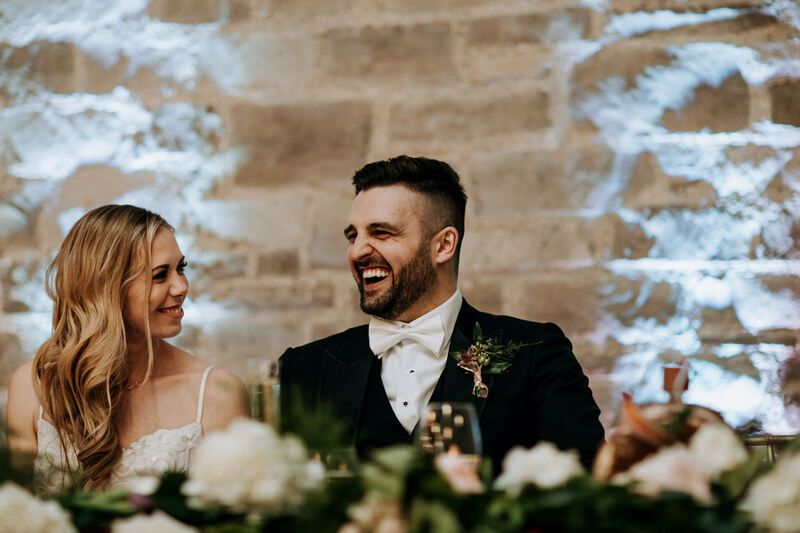 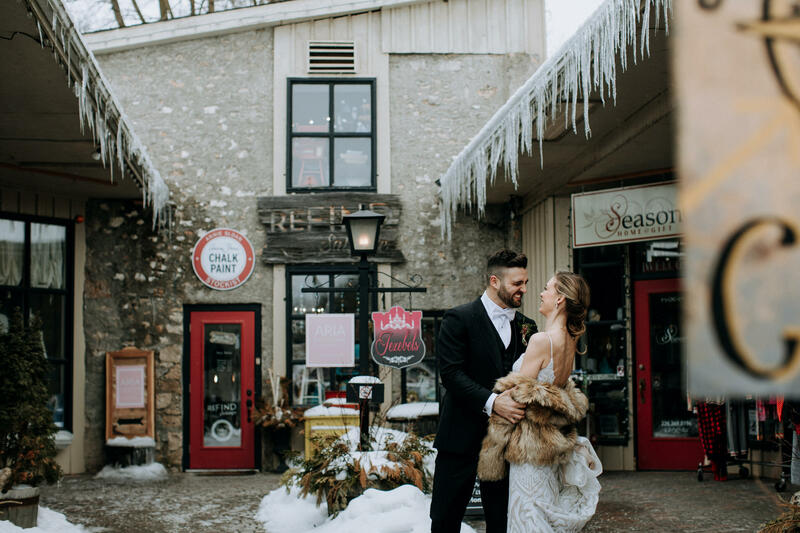 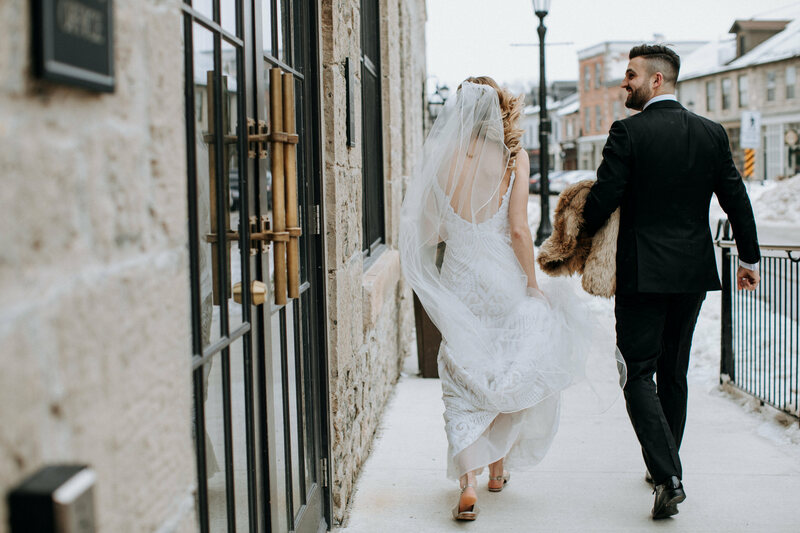 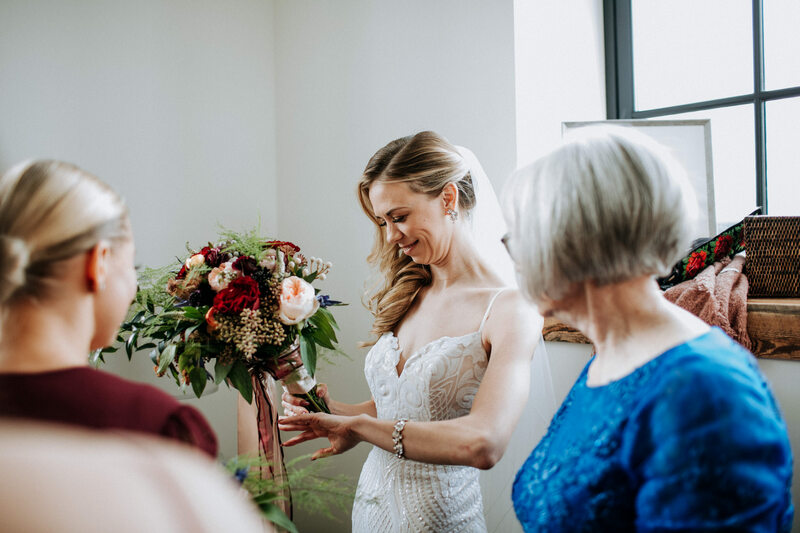 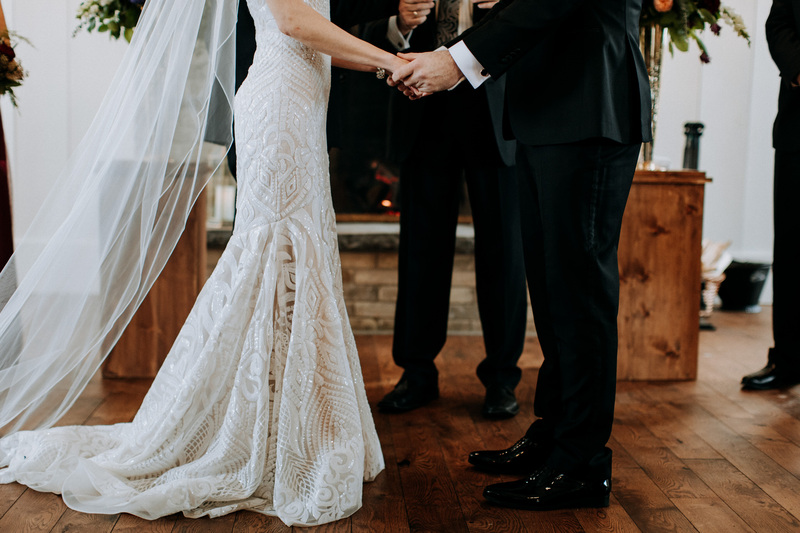 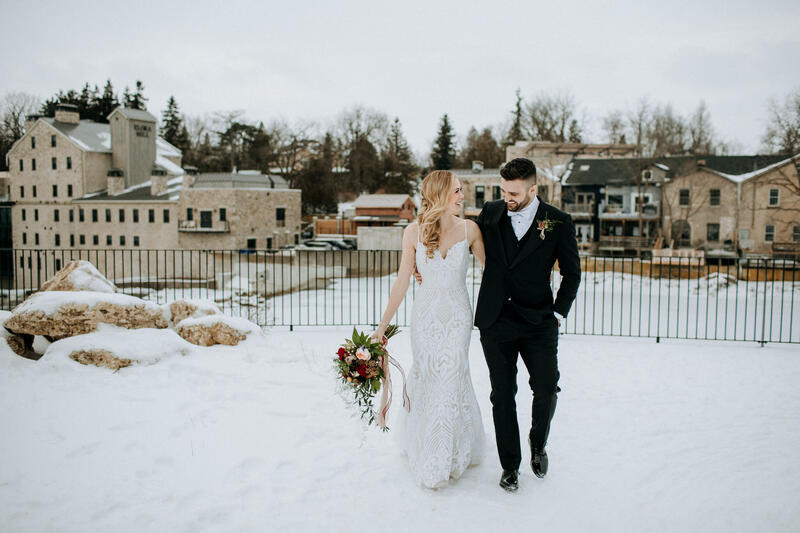 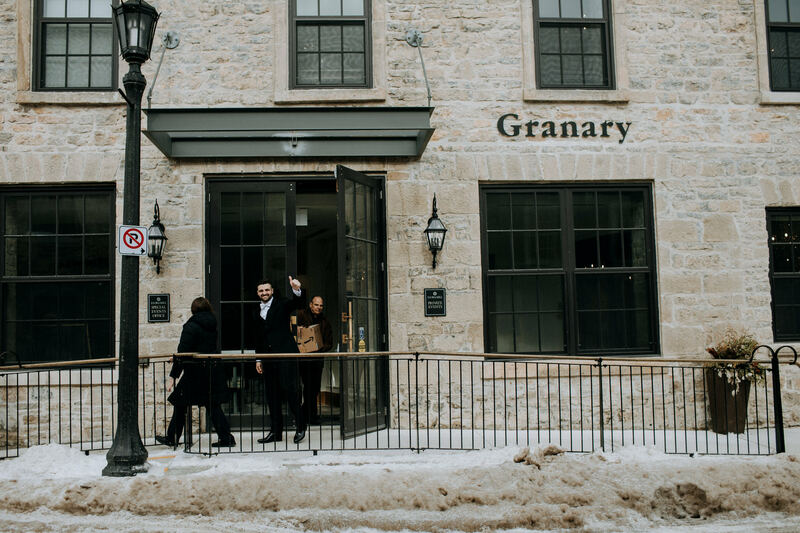 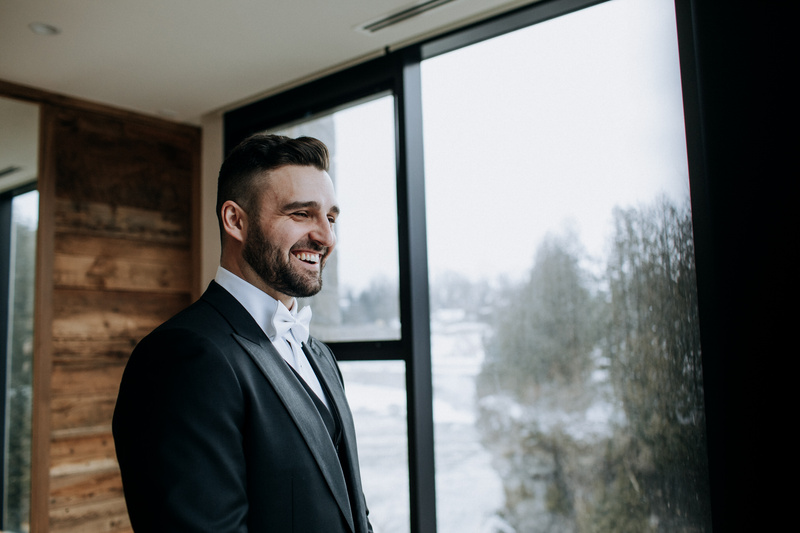 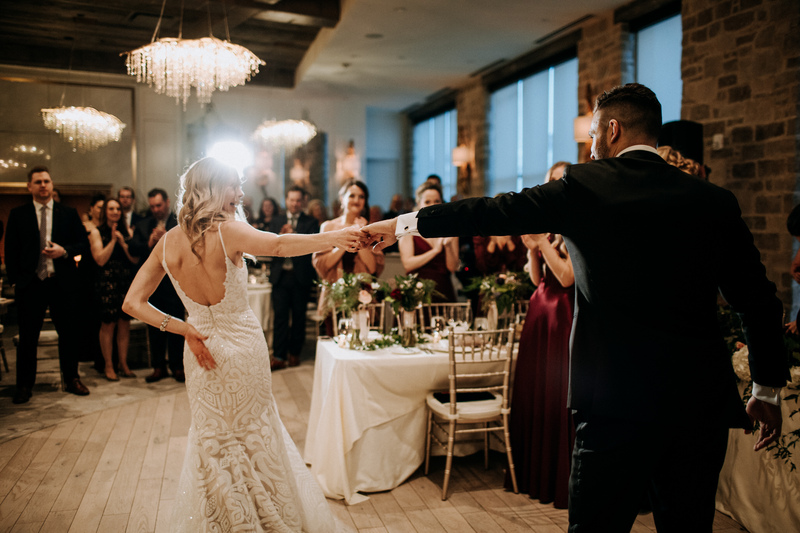 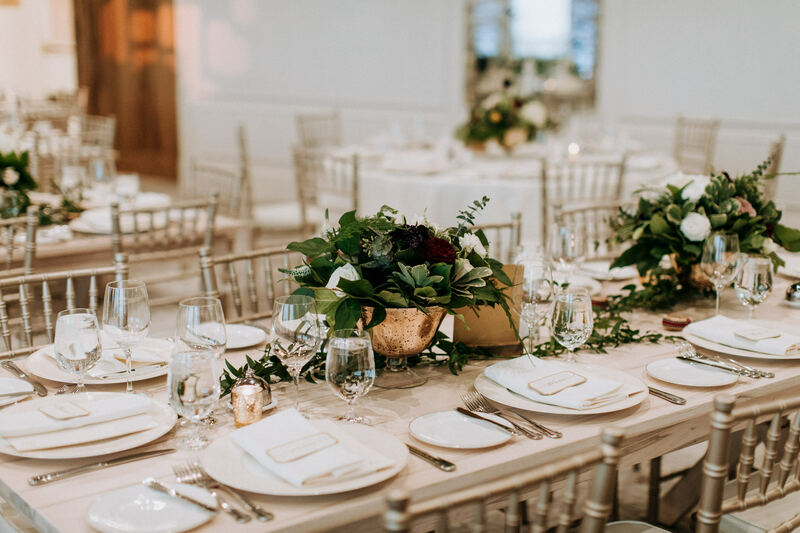 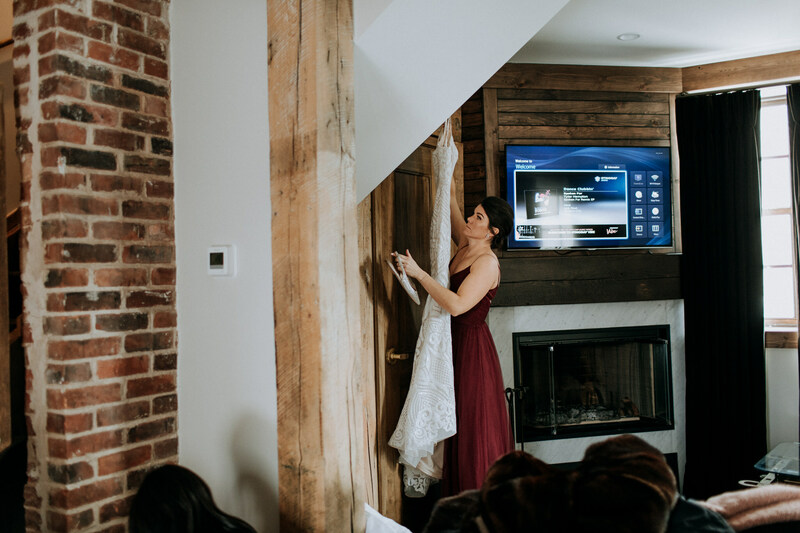 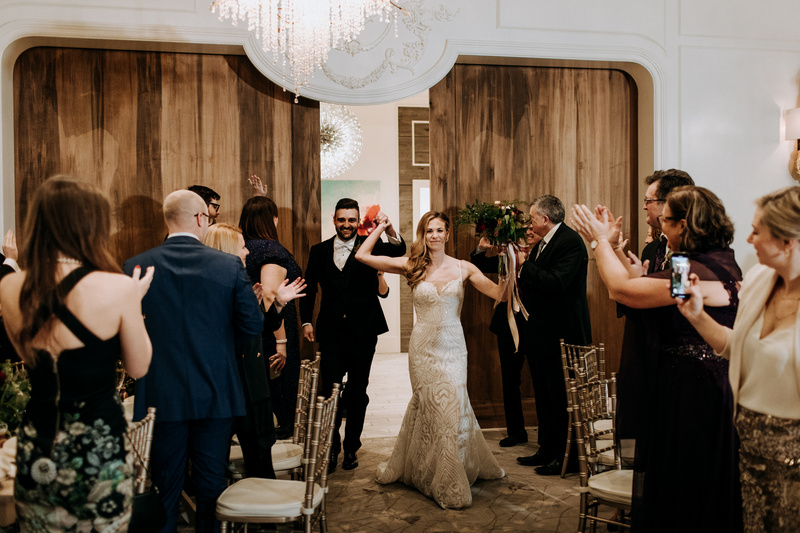 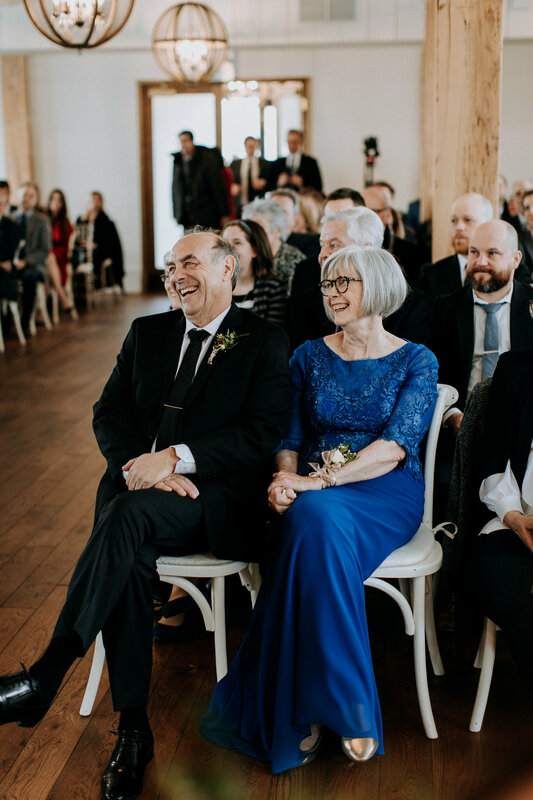 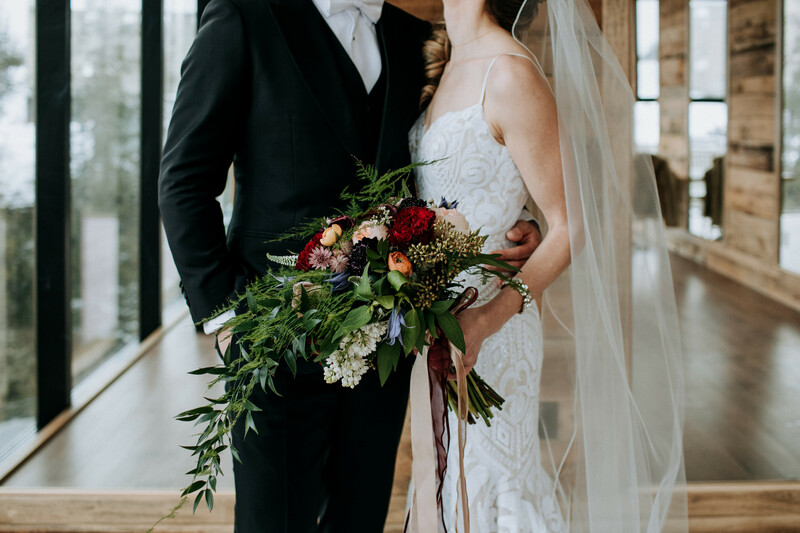 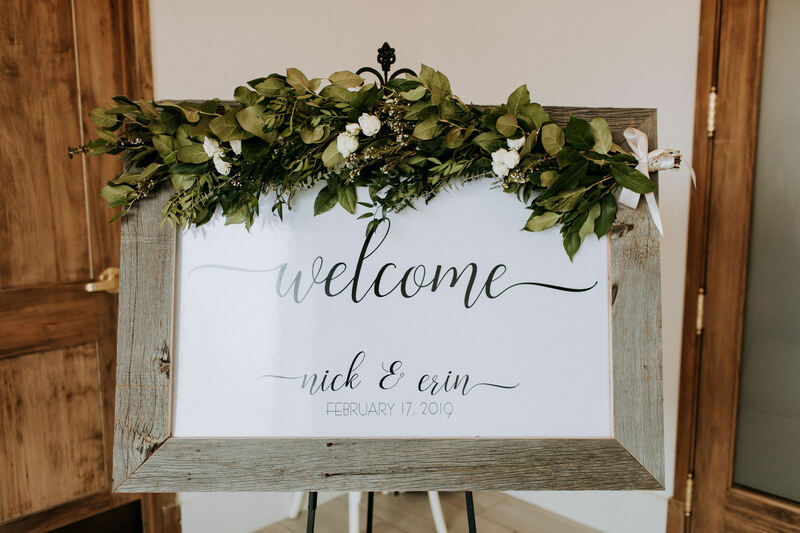 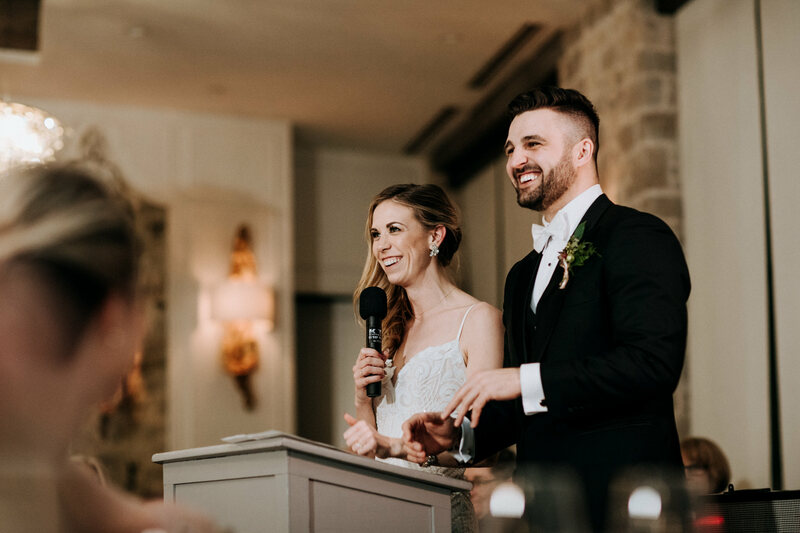 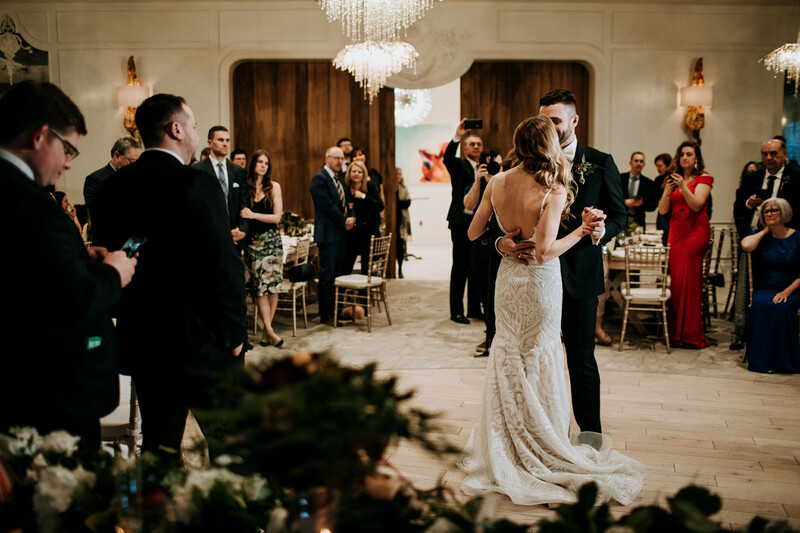 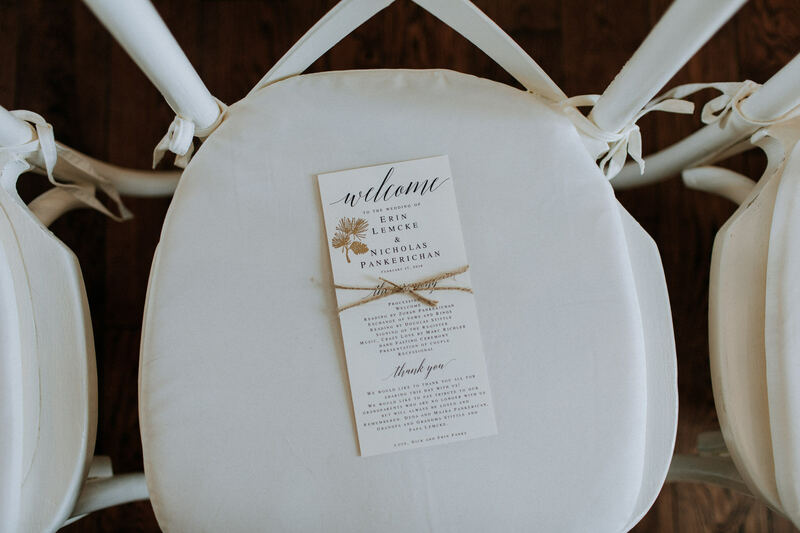 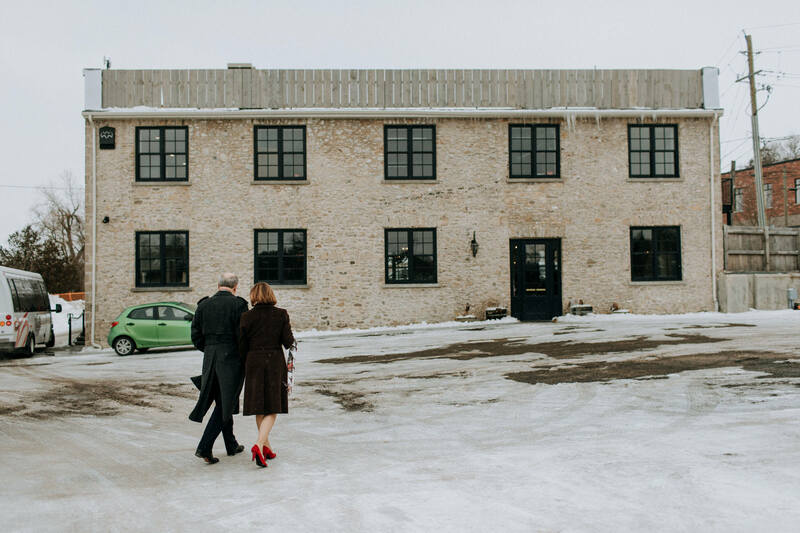 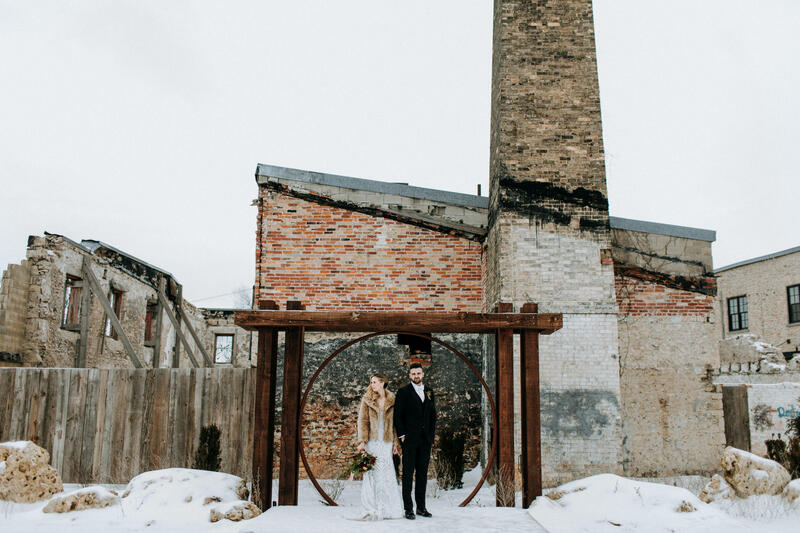 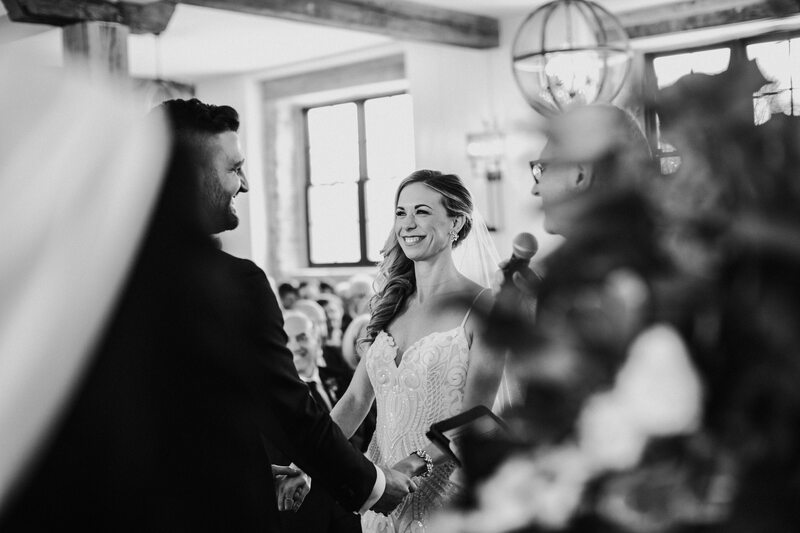 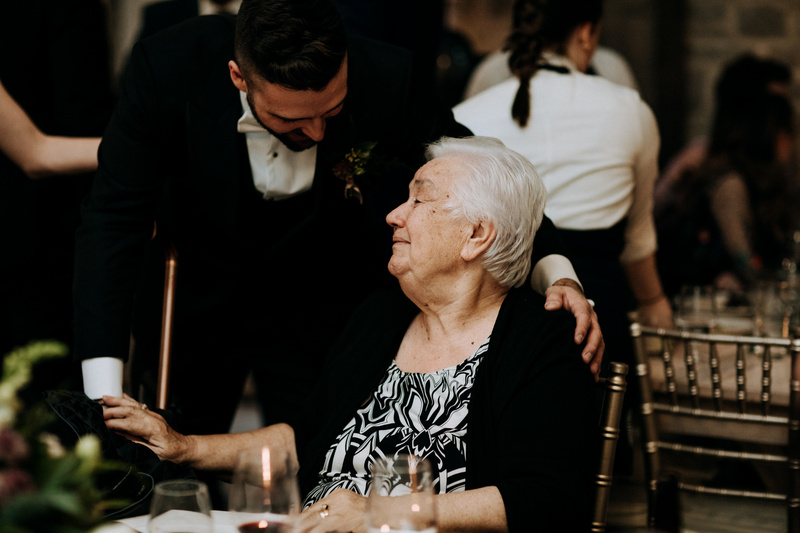 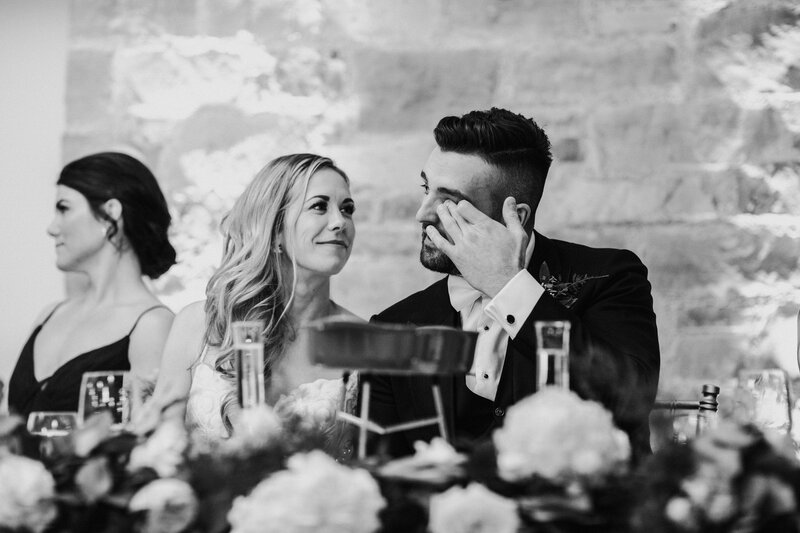 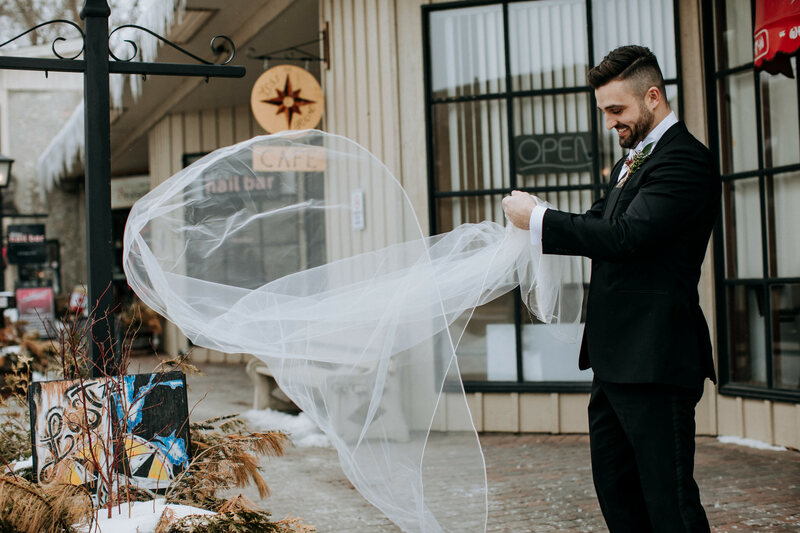 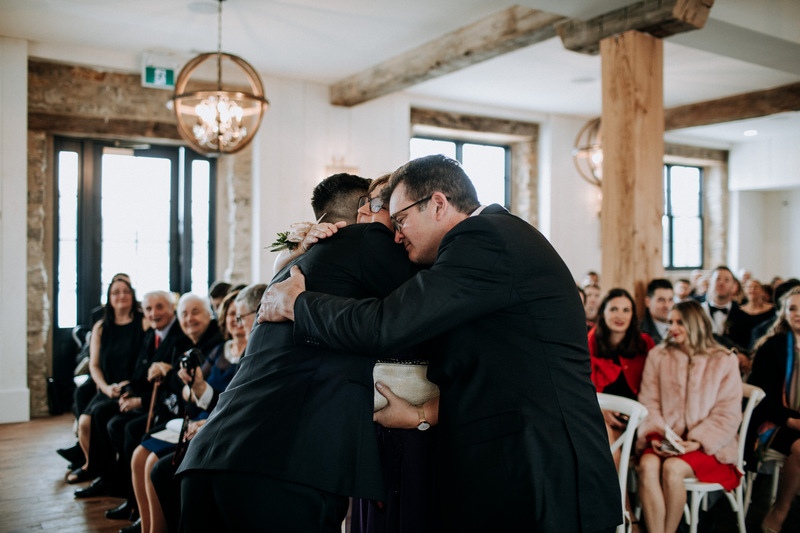 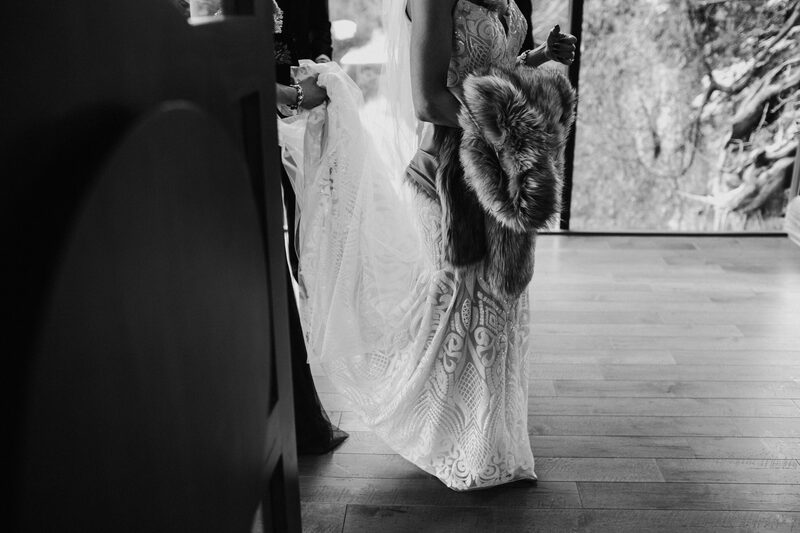 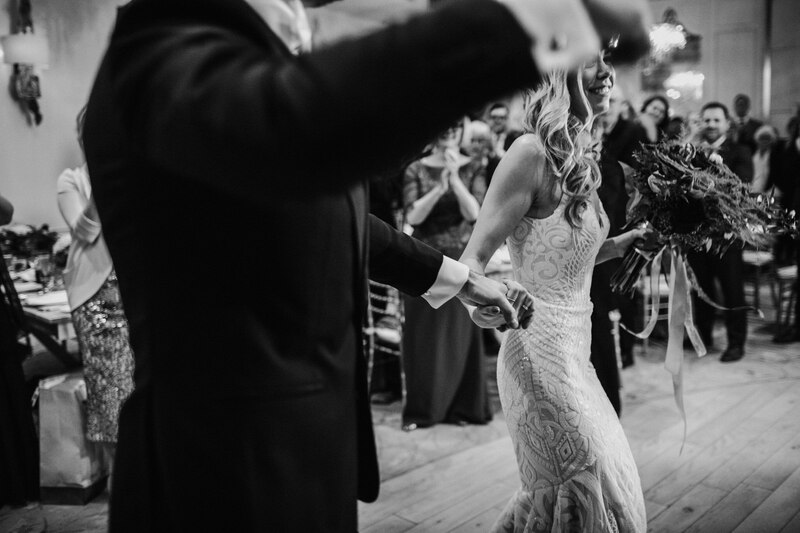 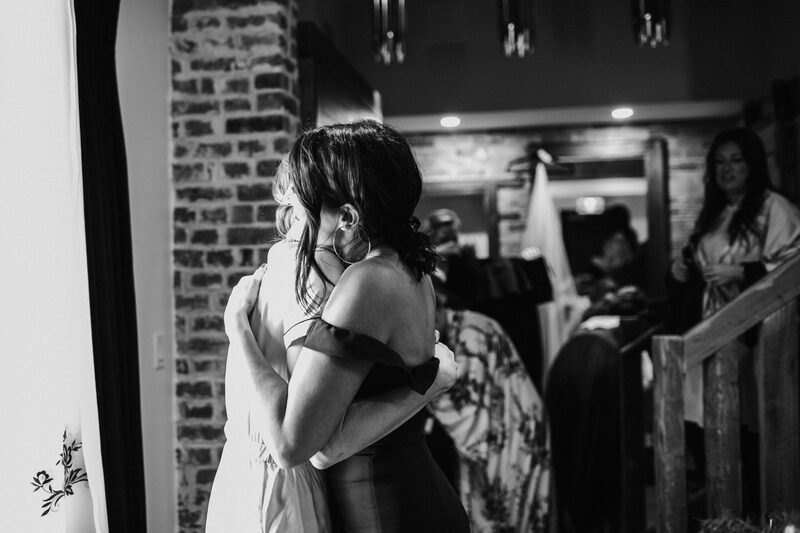 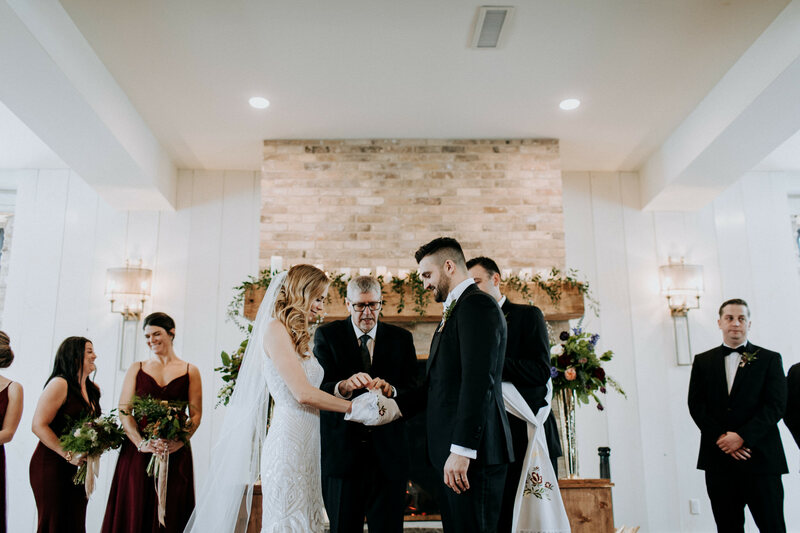 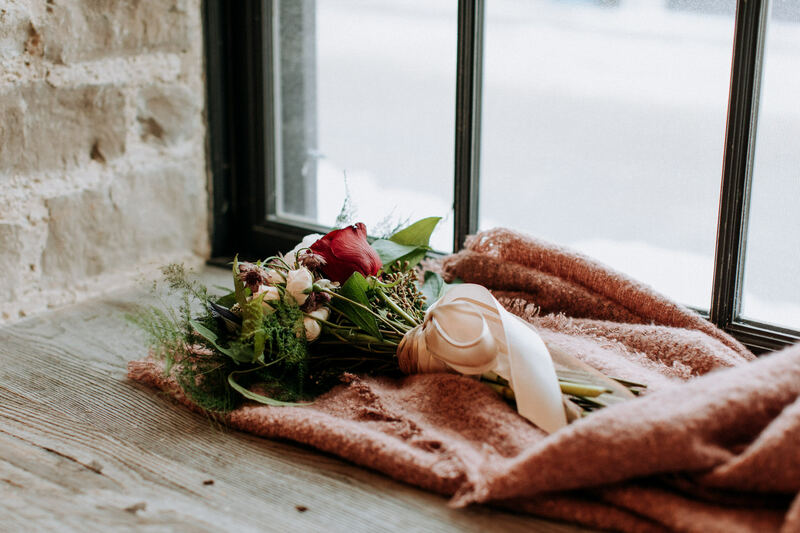 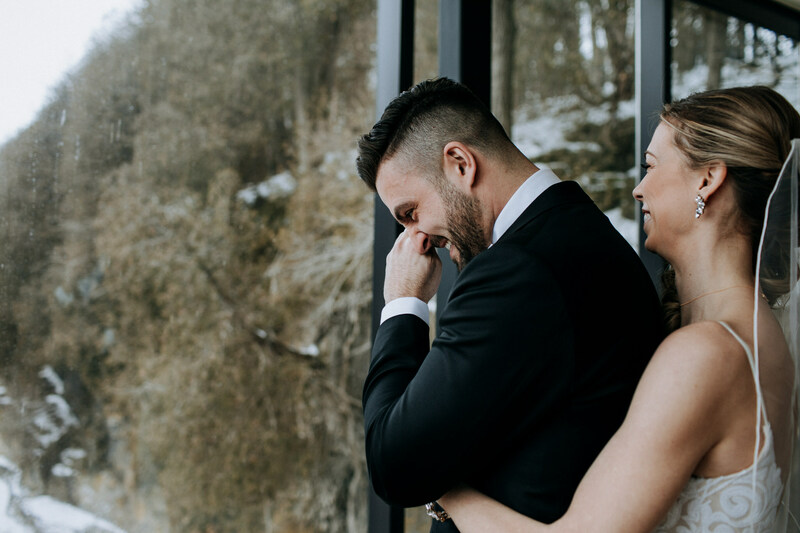 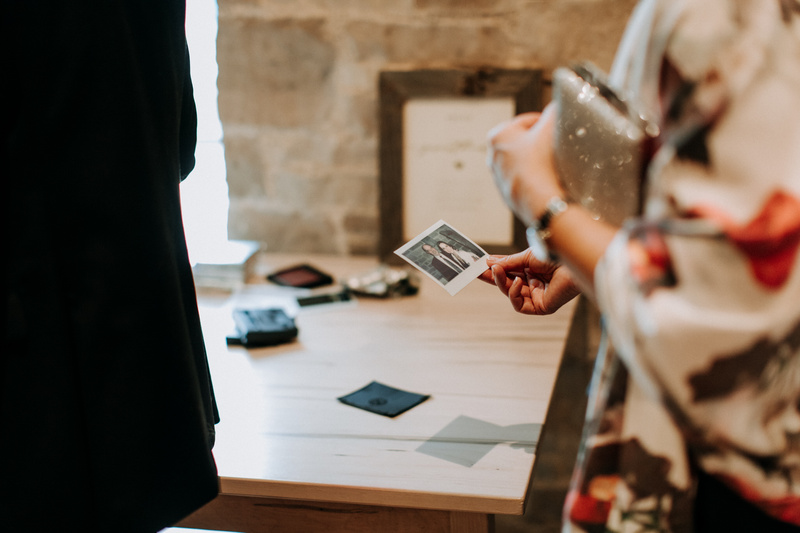 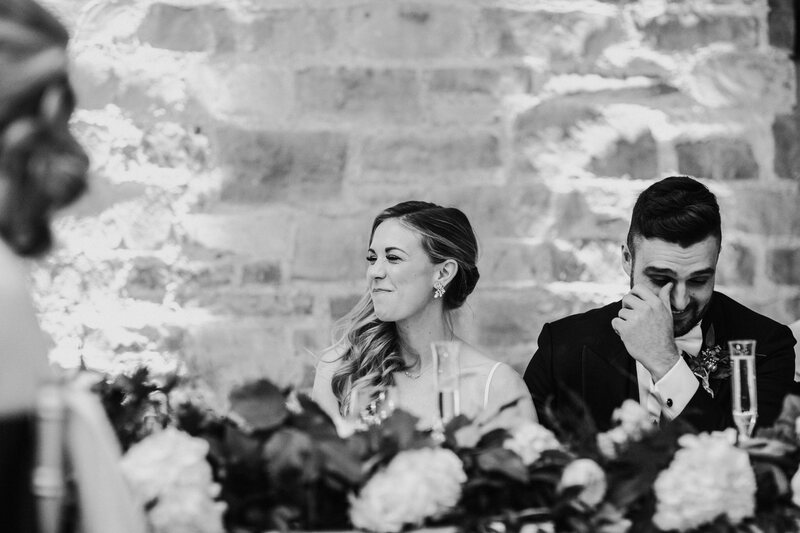 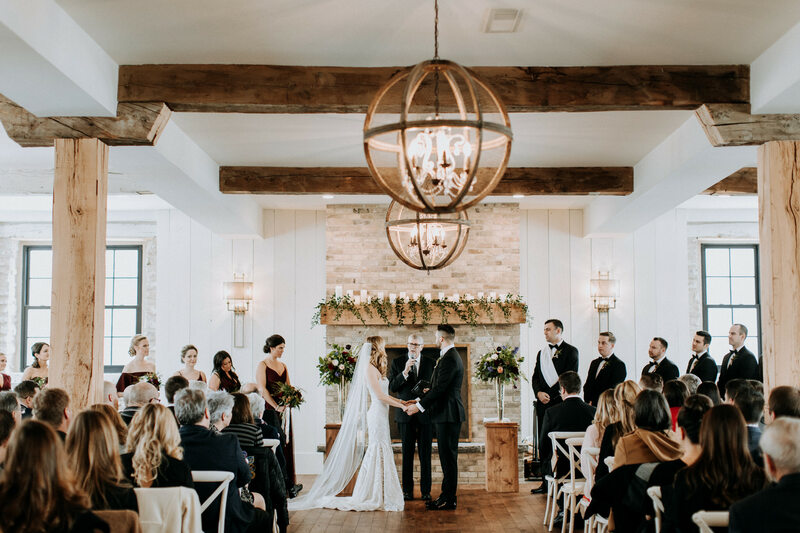 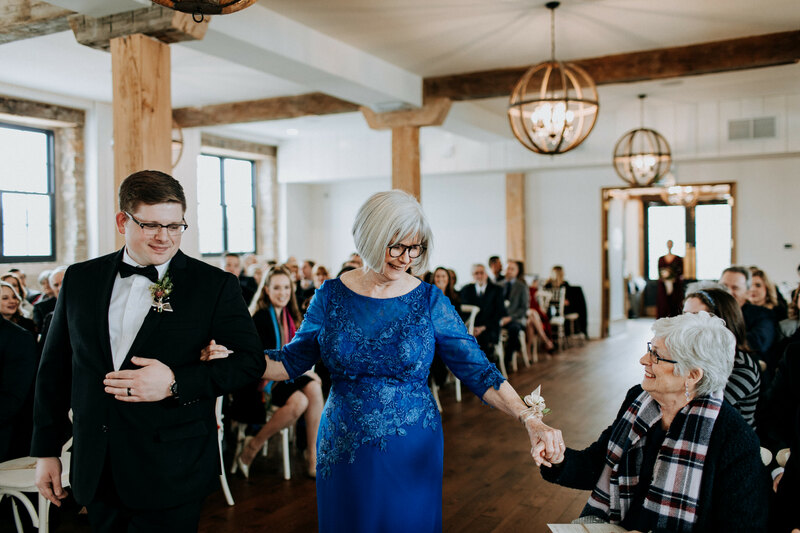 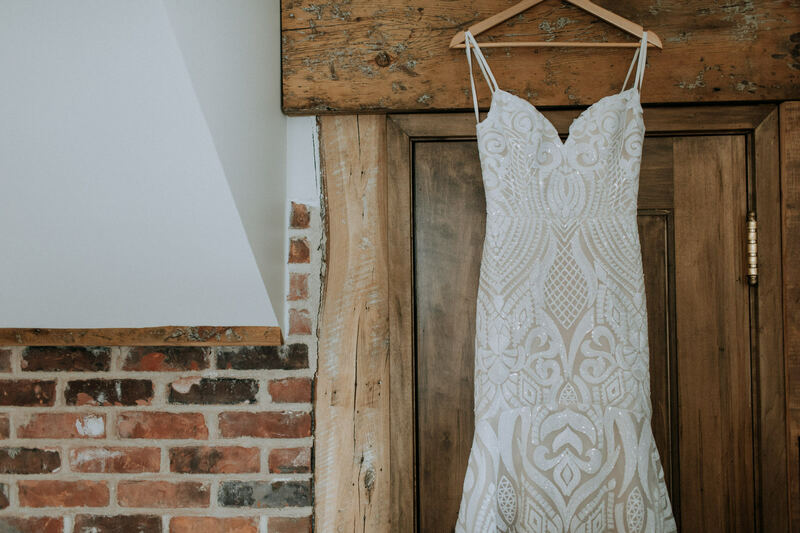 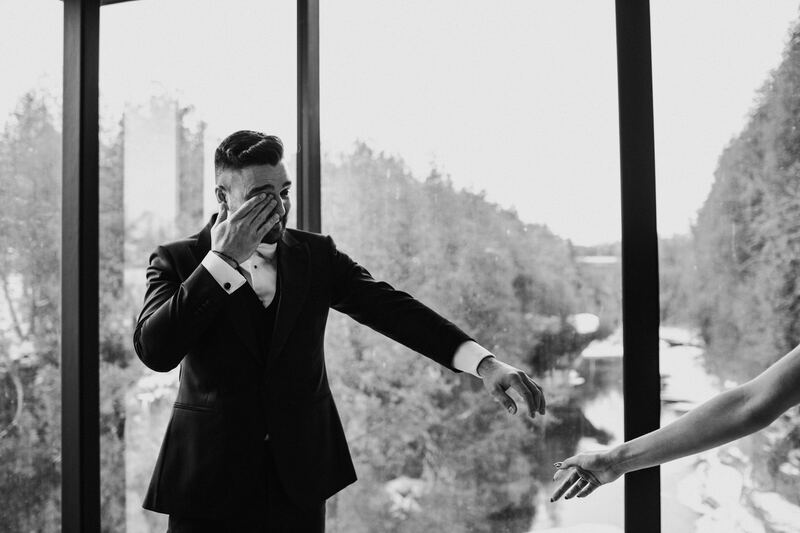 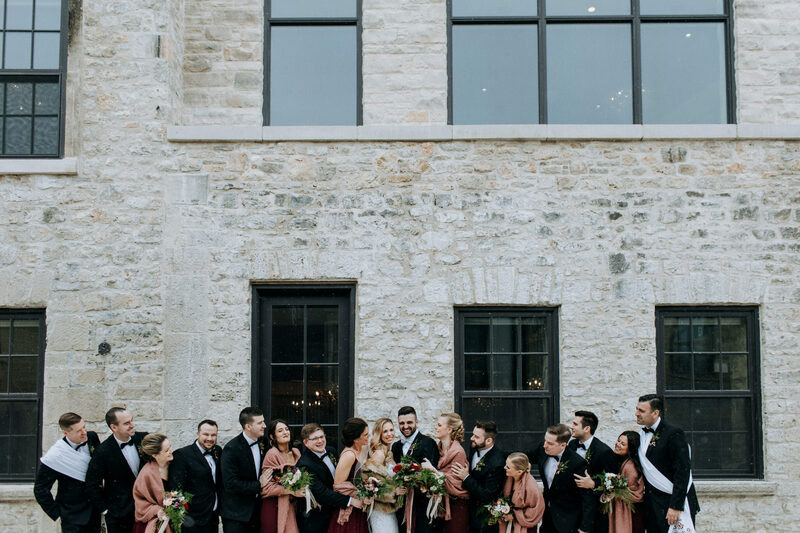 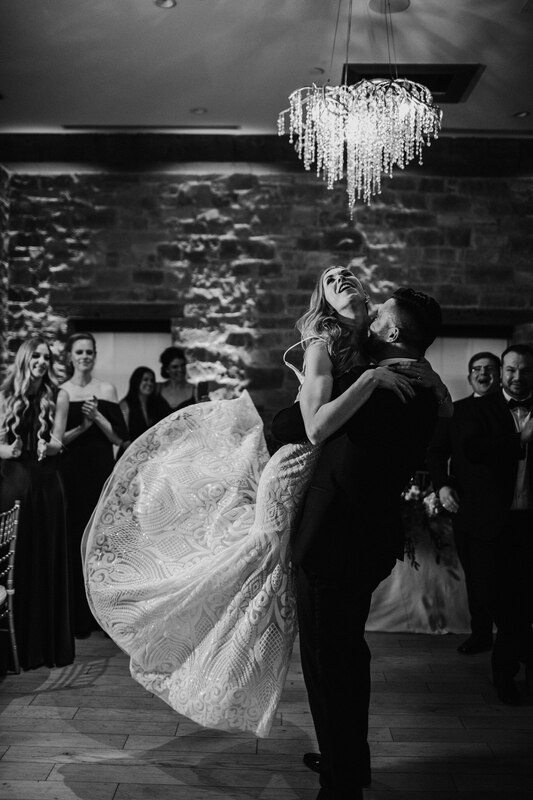 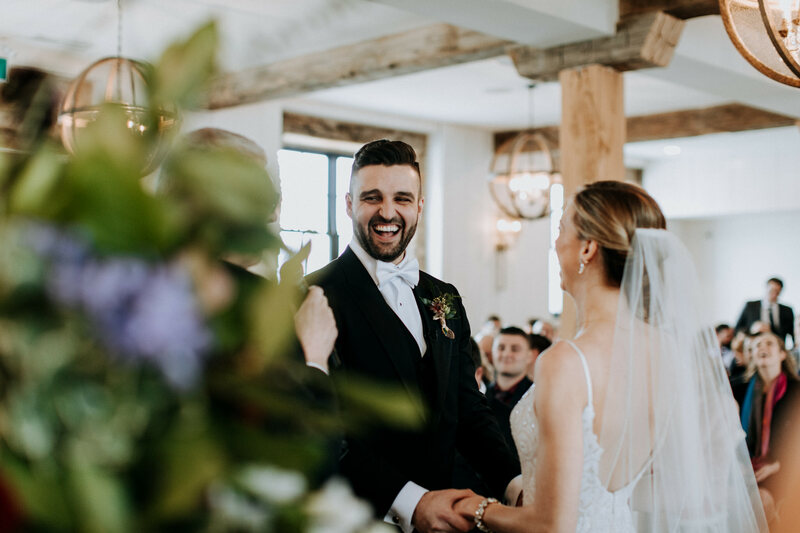 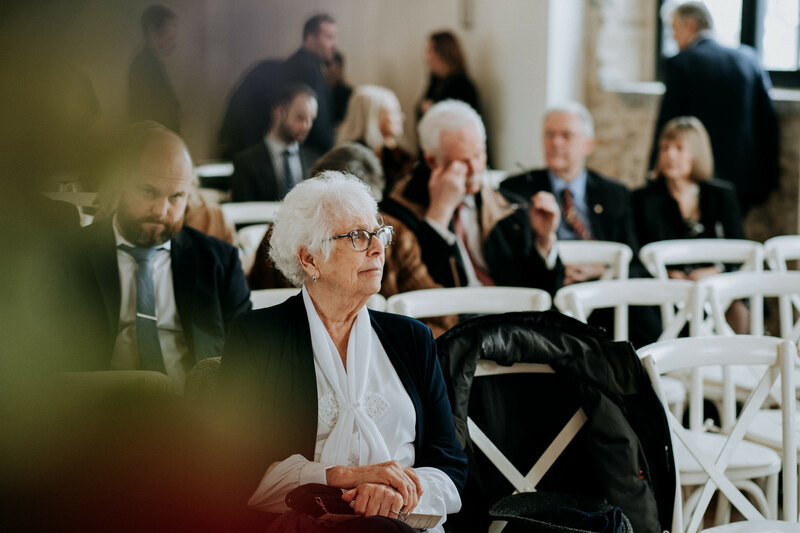  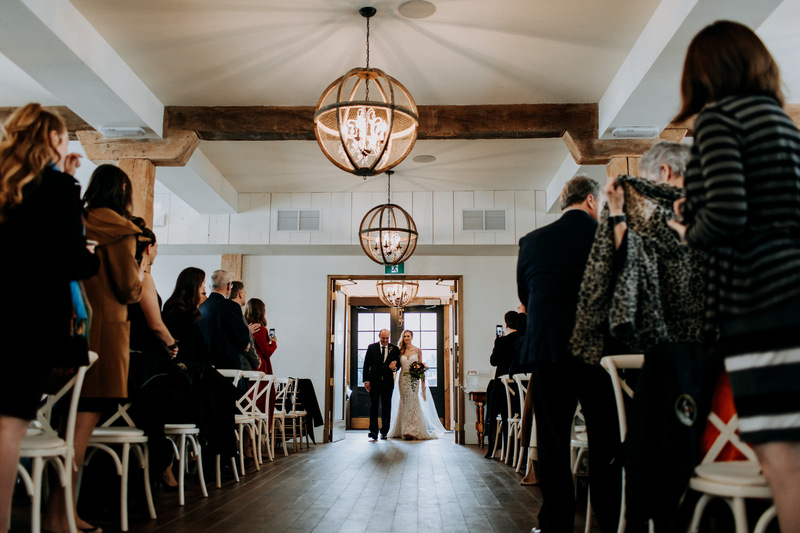 Elora Mill Weddings are actually a fairly new thing – this absolutely stunning historic venue has only been offering wedding collections since summer 2018. 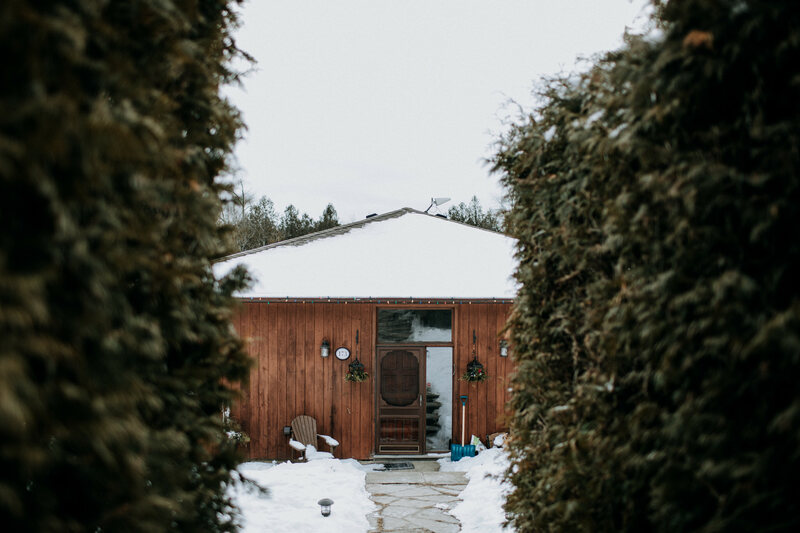 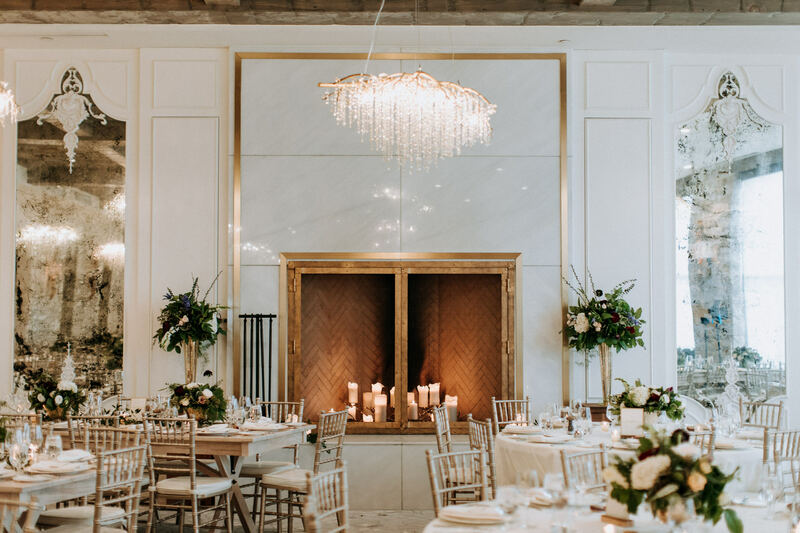 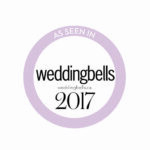 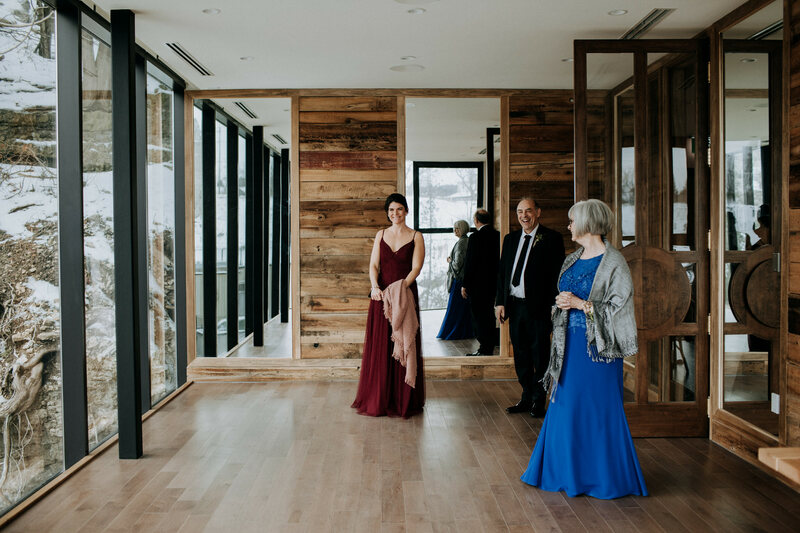 I can confidently say that those of us in the Southern Ontario Wedding Industry are extremely thrilled about having such a gorgeous new space to work in! 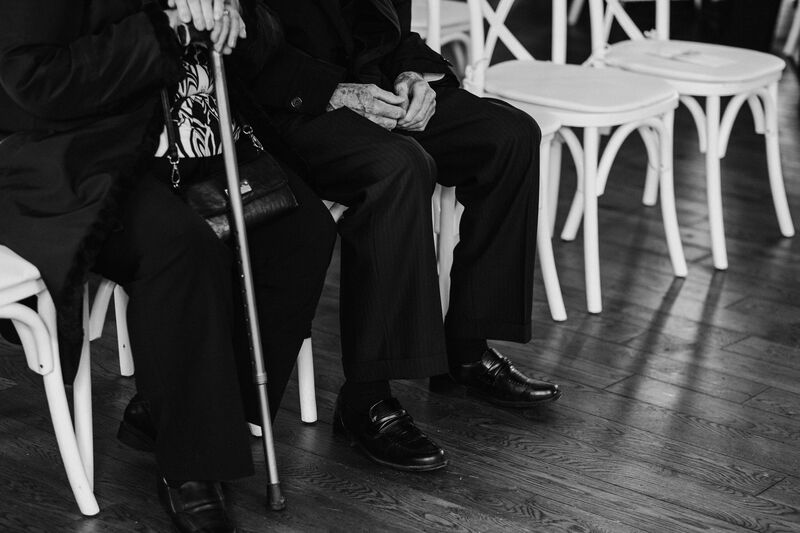 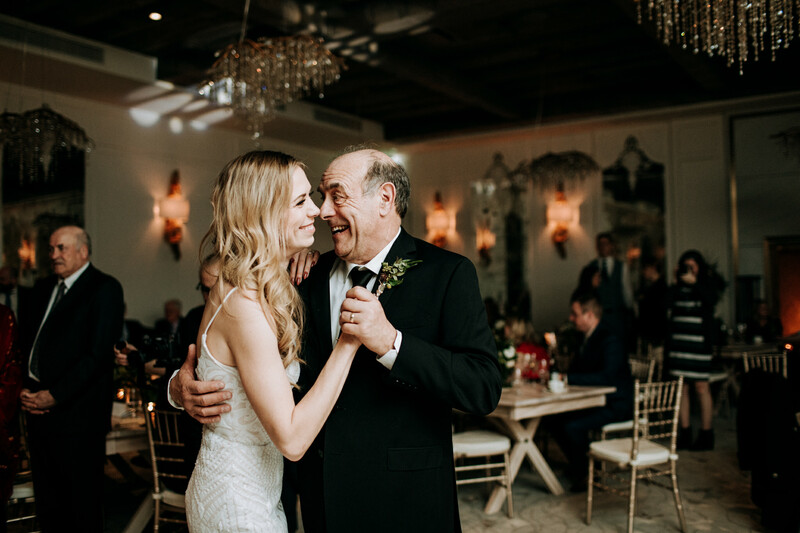 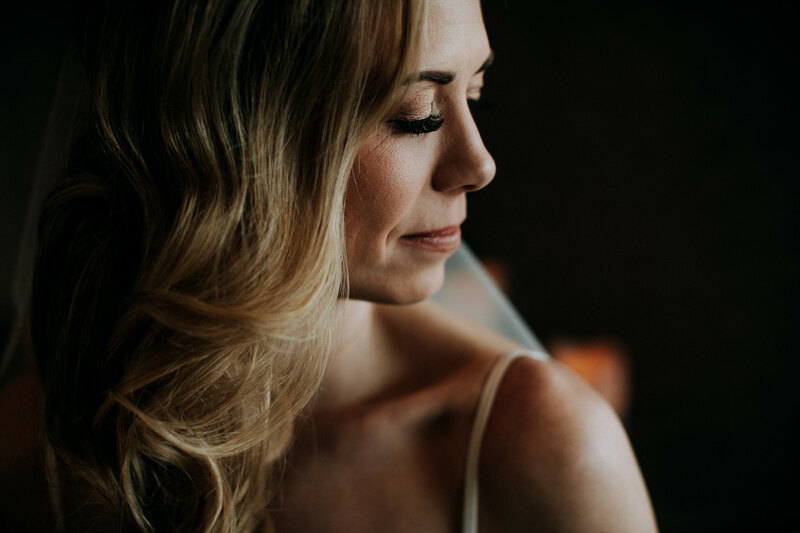 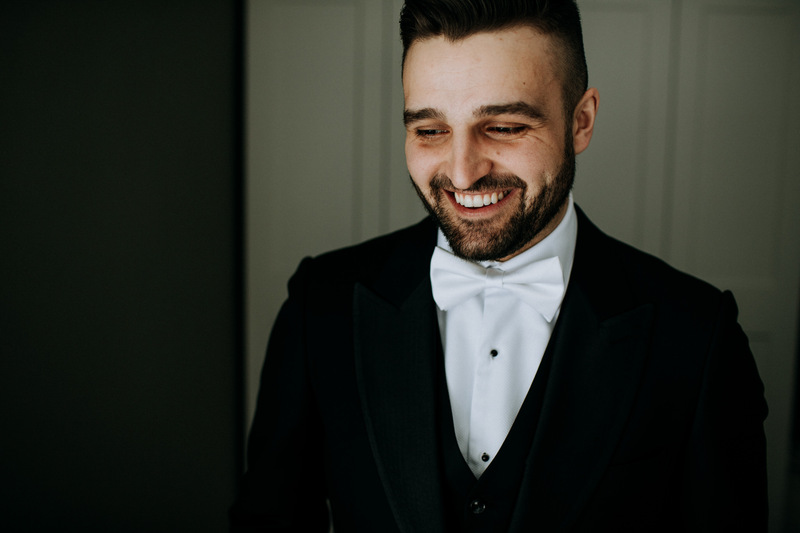 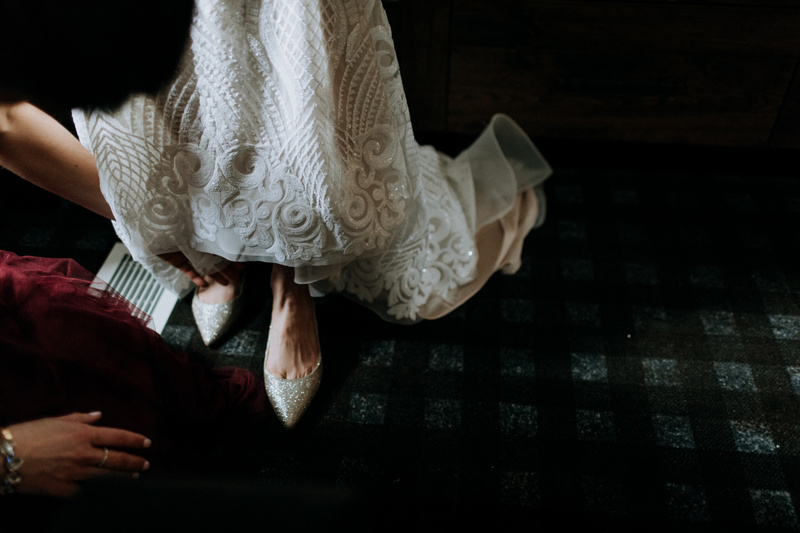 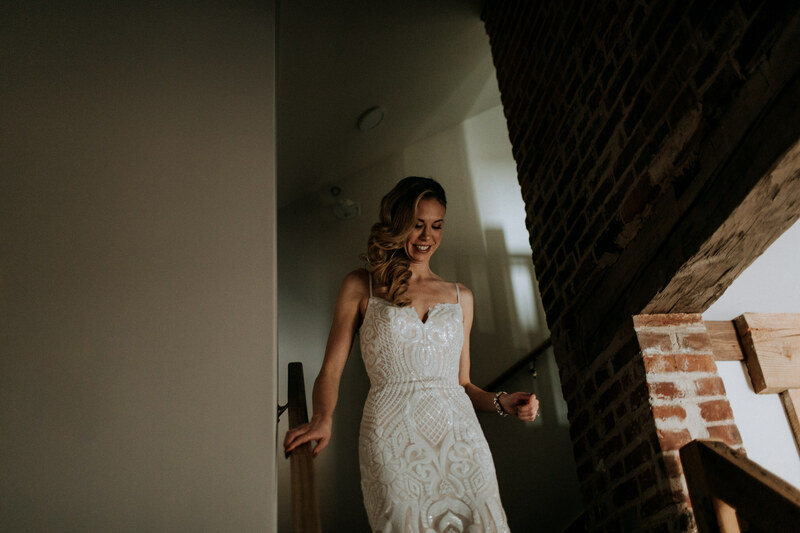 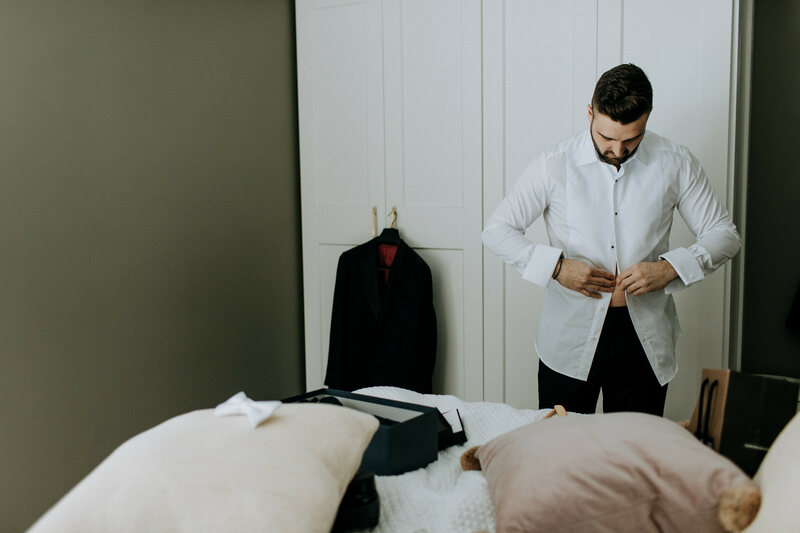 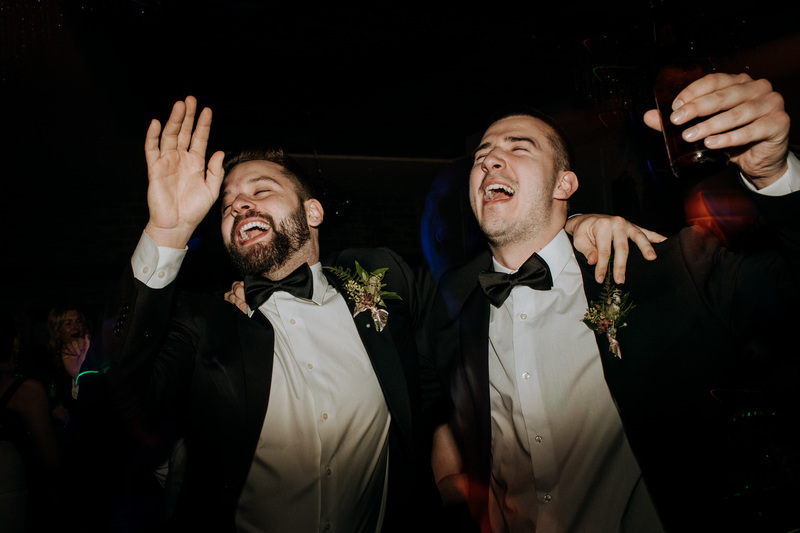 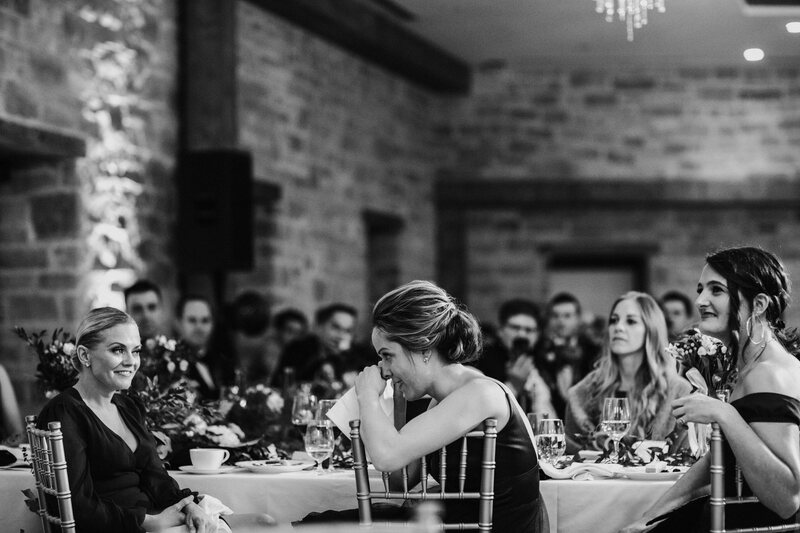 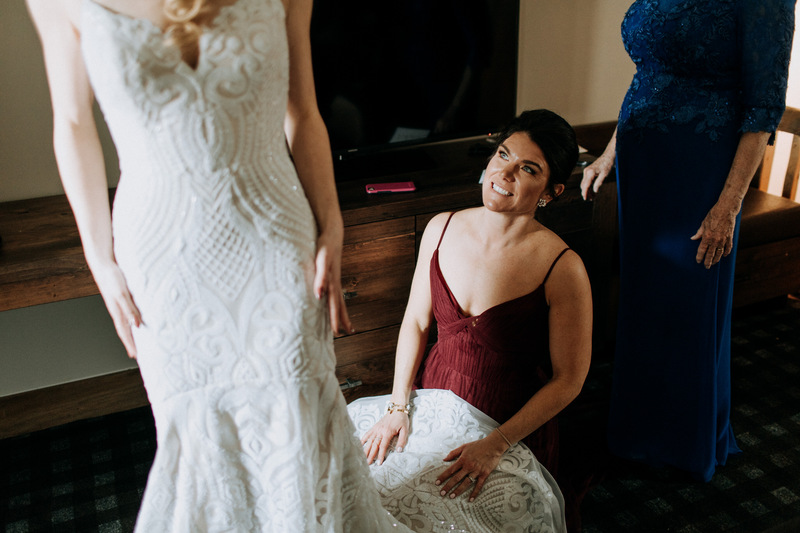 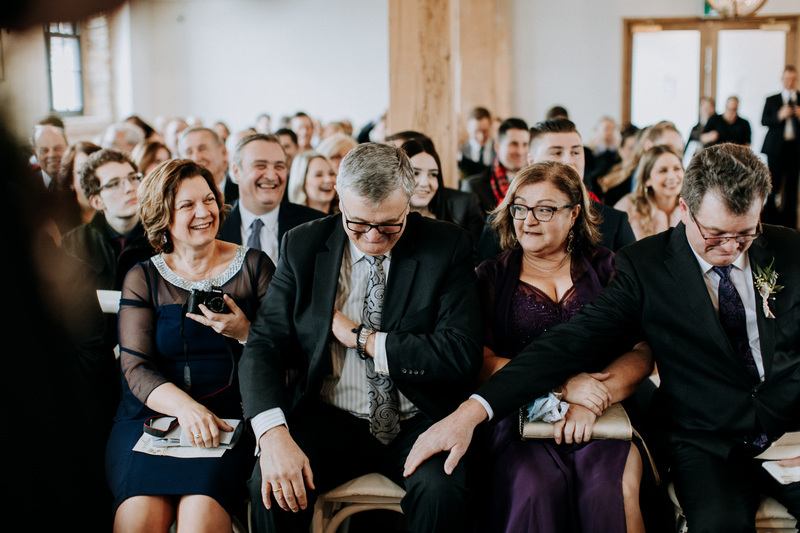 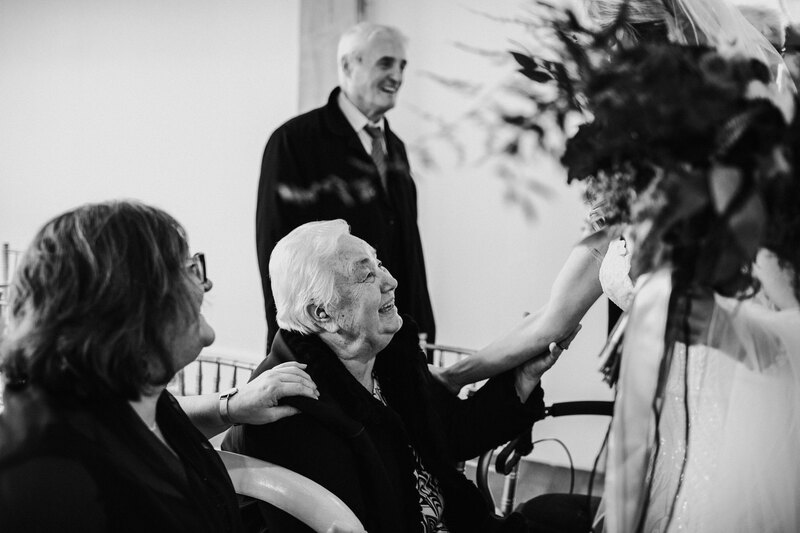 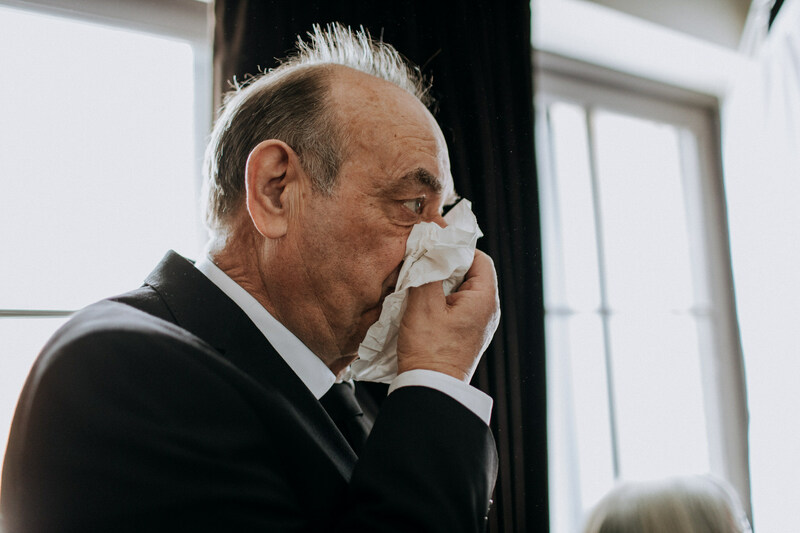 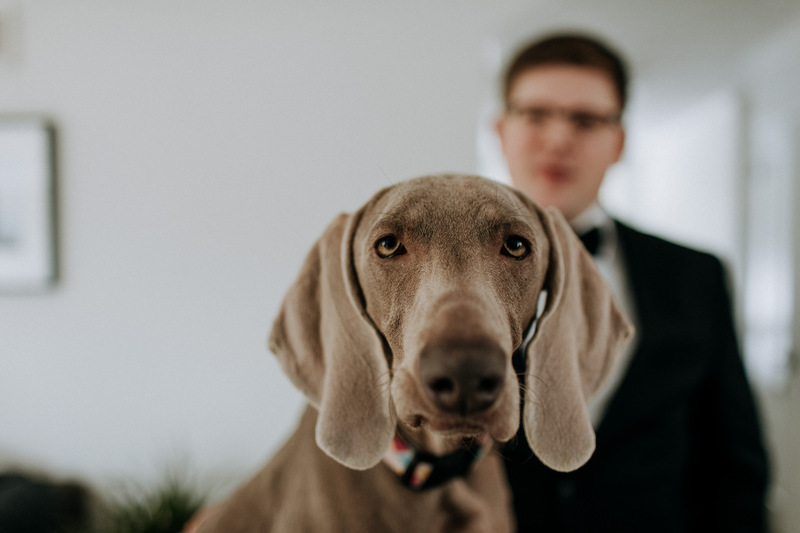 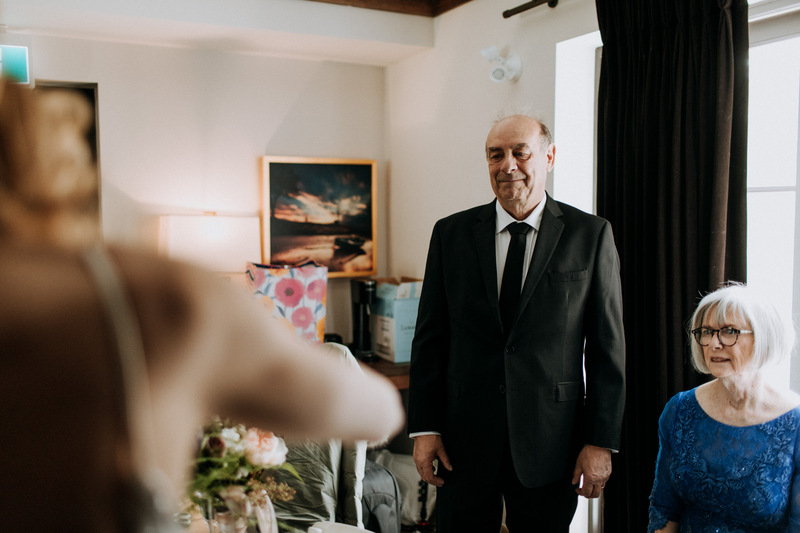 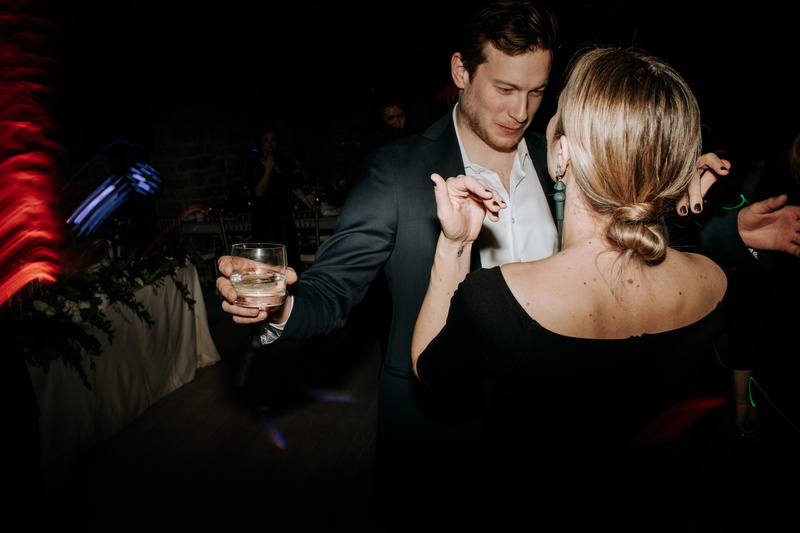 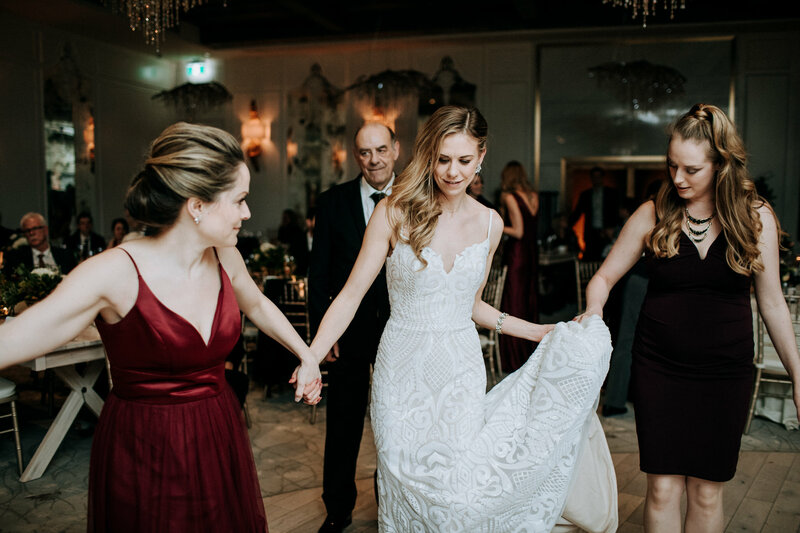 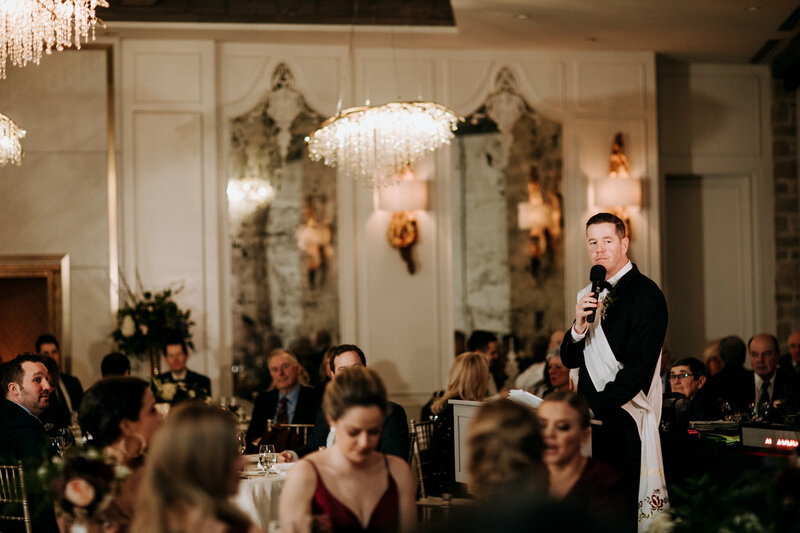 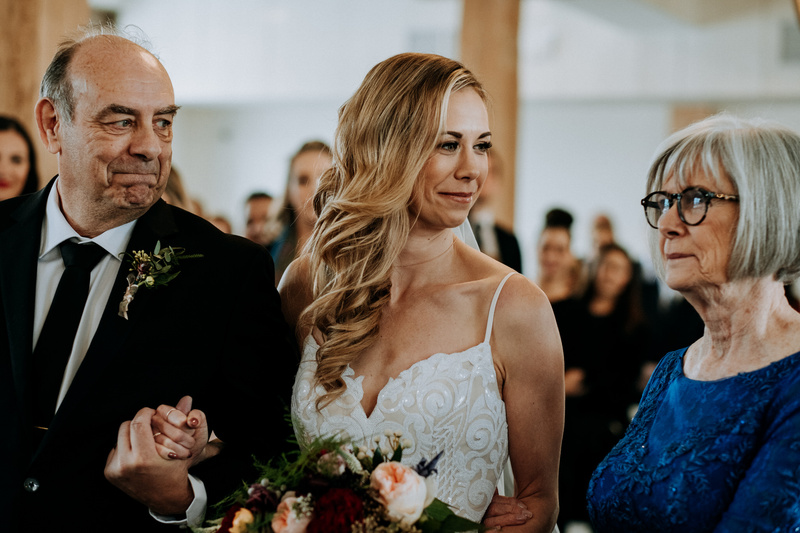 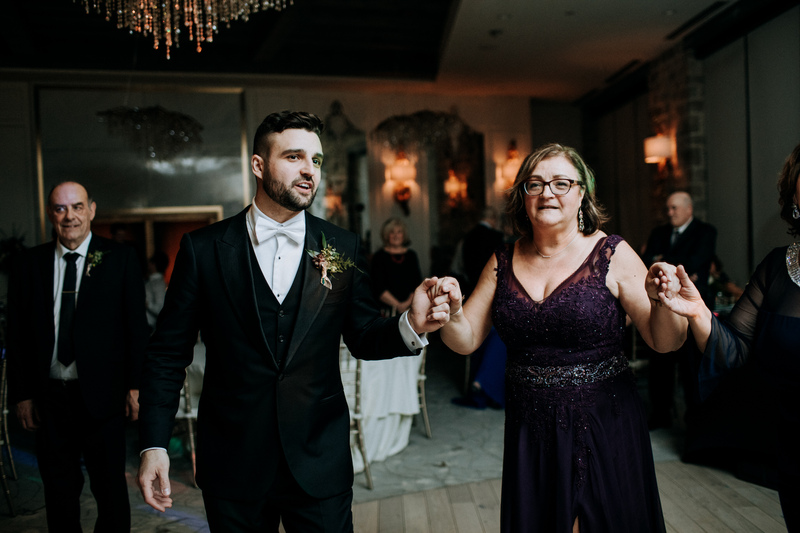 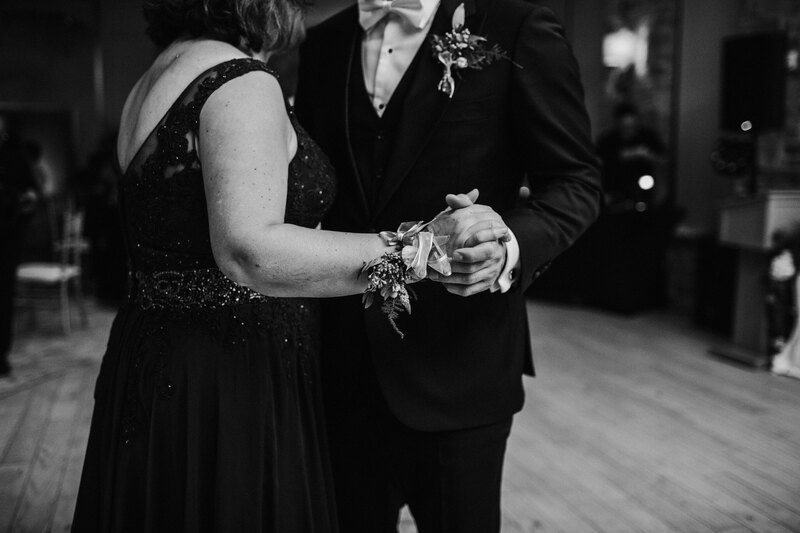 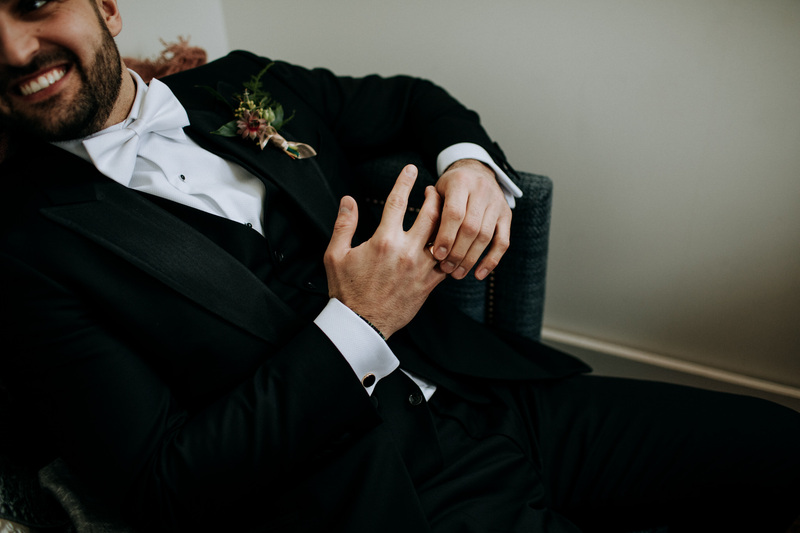 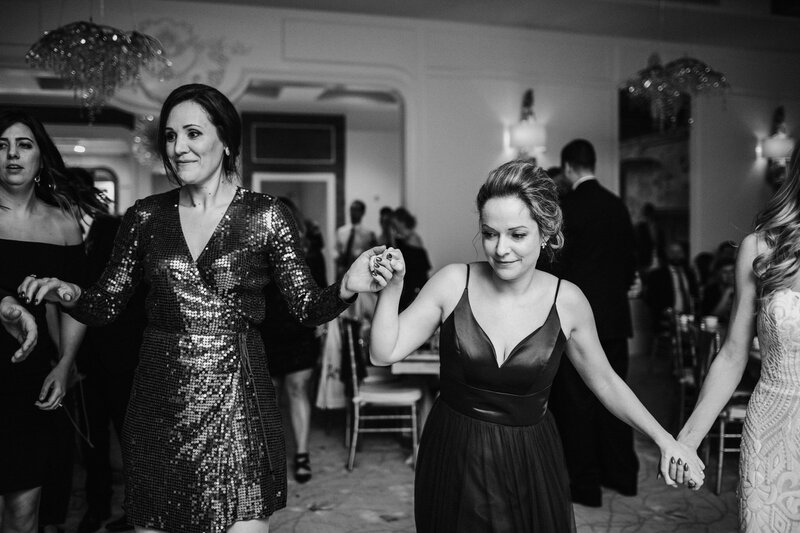 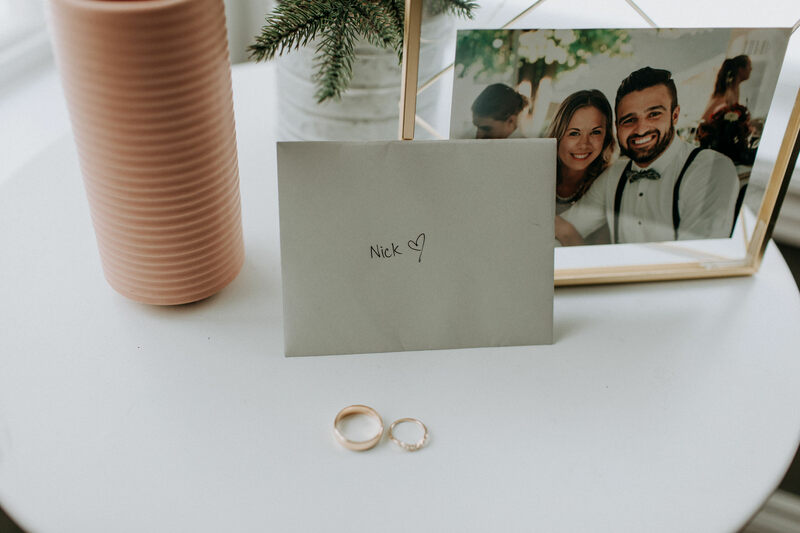 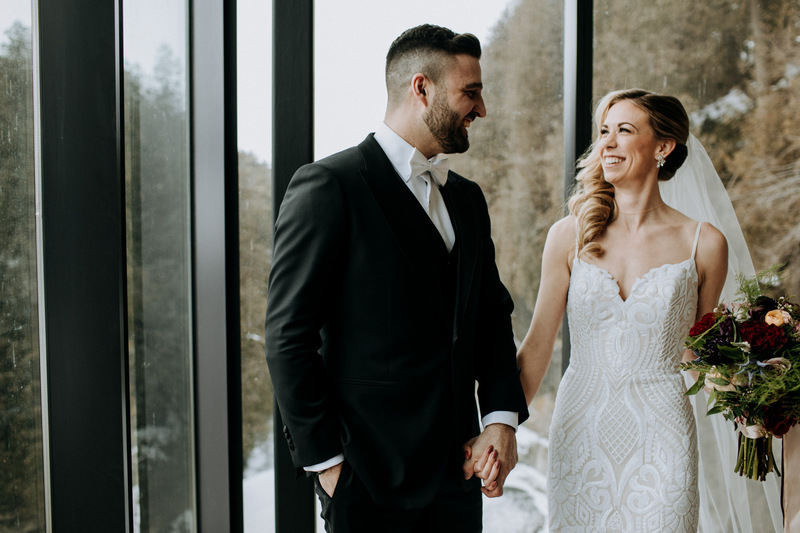 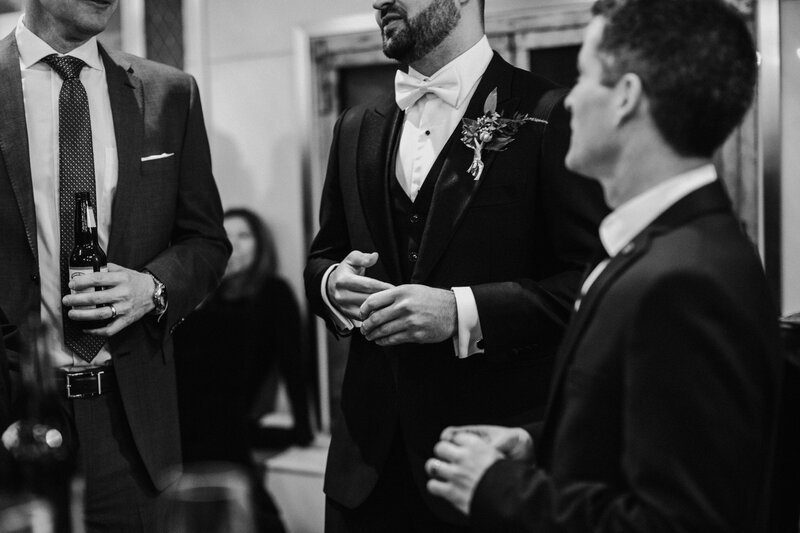 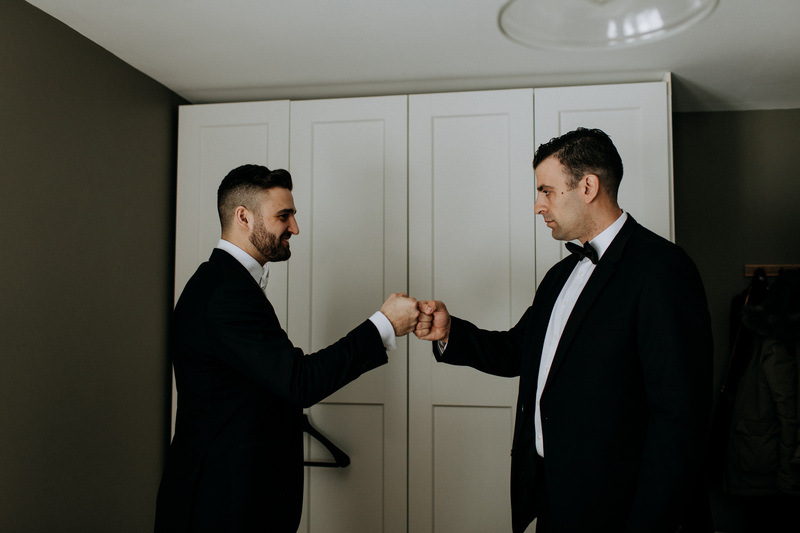 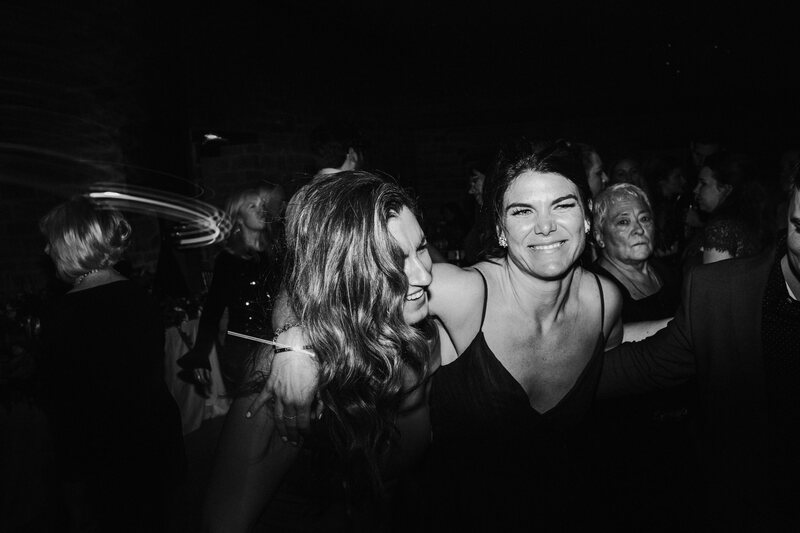 Erin & Nick came to me via another fantastic GTA Wedding Photographer and friend, Jenny Thompson (she’s amazing – check her out here). 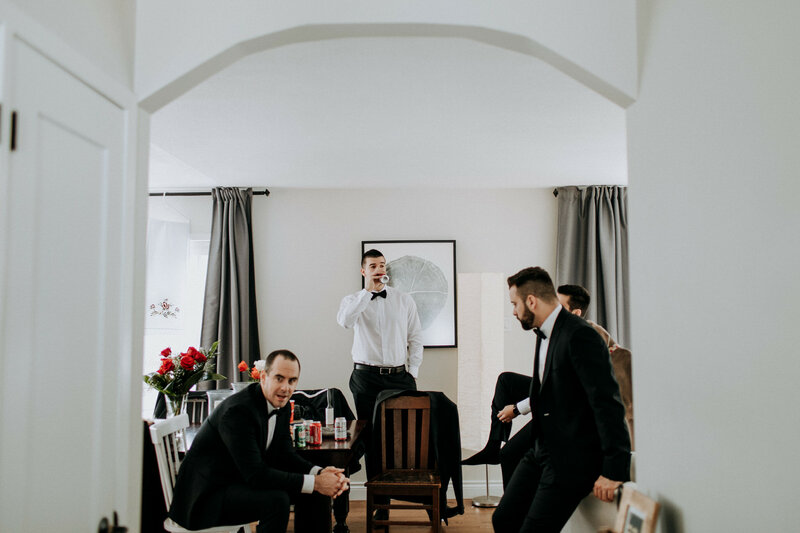 Direct referrals are always my very favourite because great people tend to travel in packs. 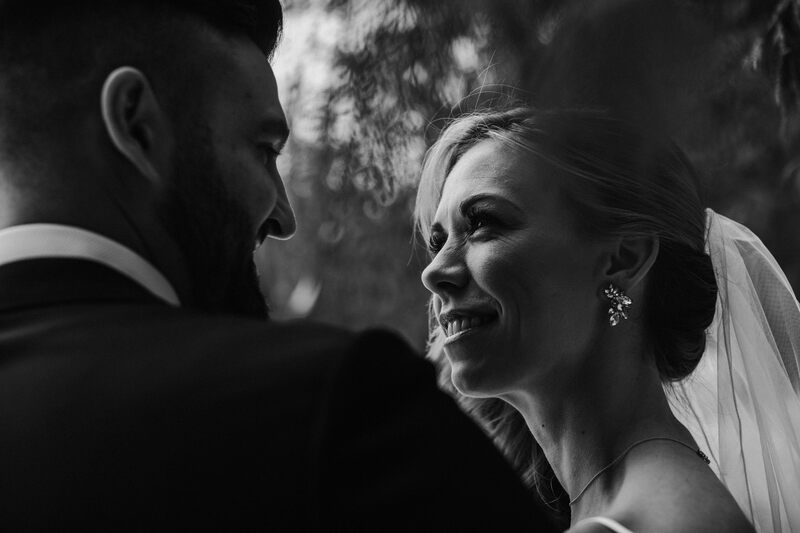 Jenny did NOT let me down with this referral and I hope the feeling is mutual for this lovely couple. 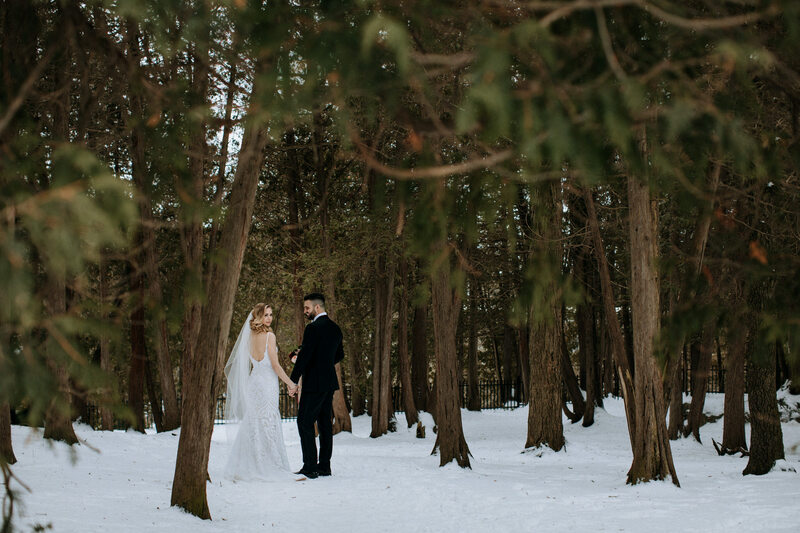 My time with Erin & Nick began at their beautiful home near Elora. 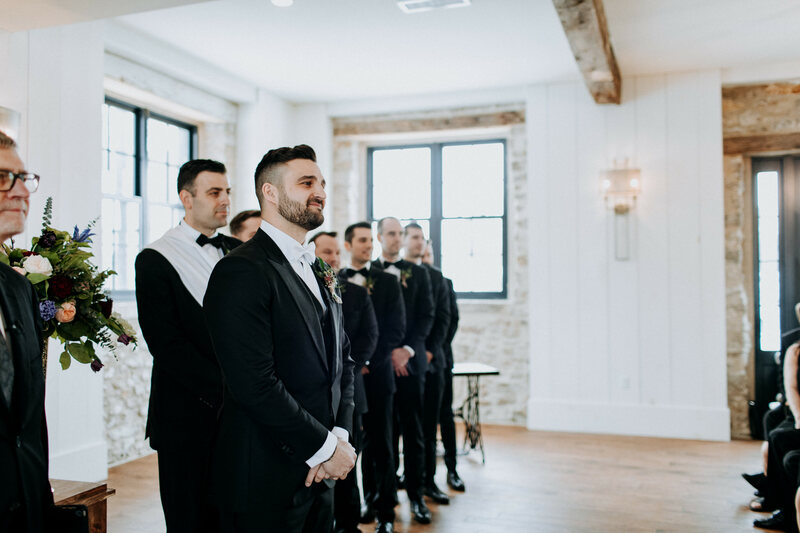 The guys were ready to party, Nick was ready to see his girl. 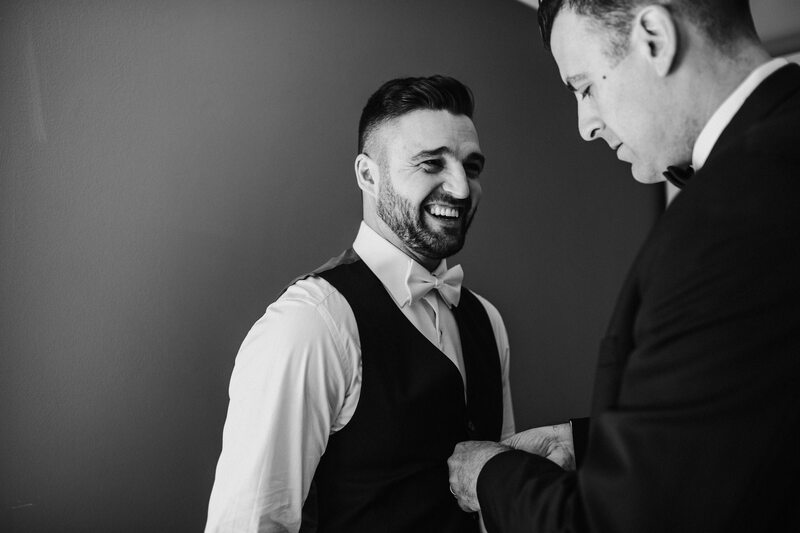 I asked him how he was feeling about seeing Erin and he actually told me he couldn’t talk about it for fear of bursting into happy tears. 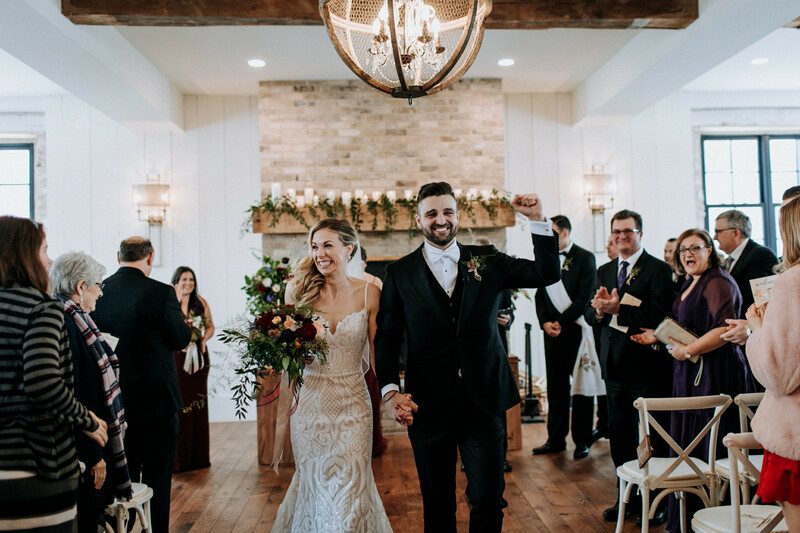 What a way to set the tone for the day!!! 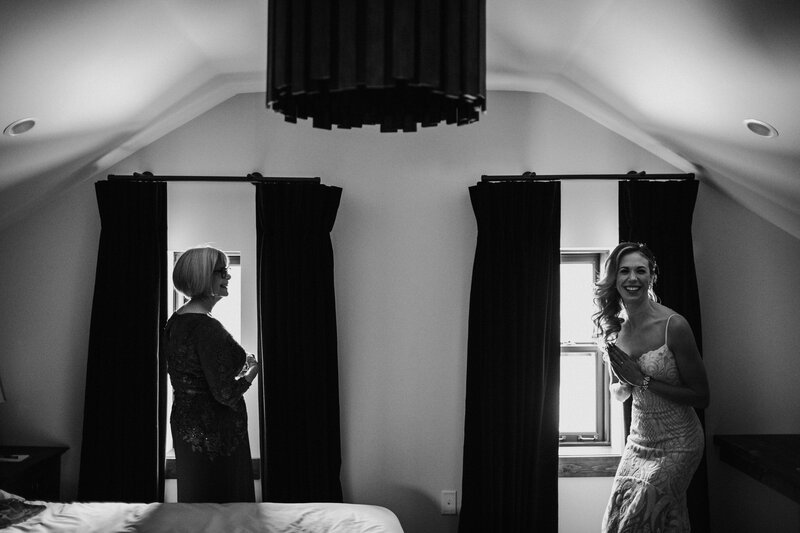 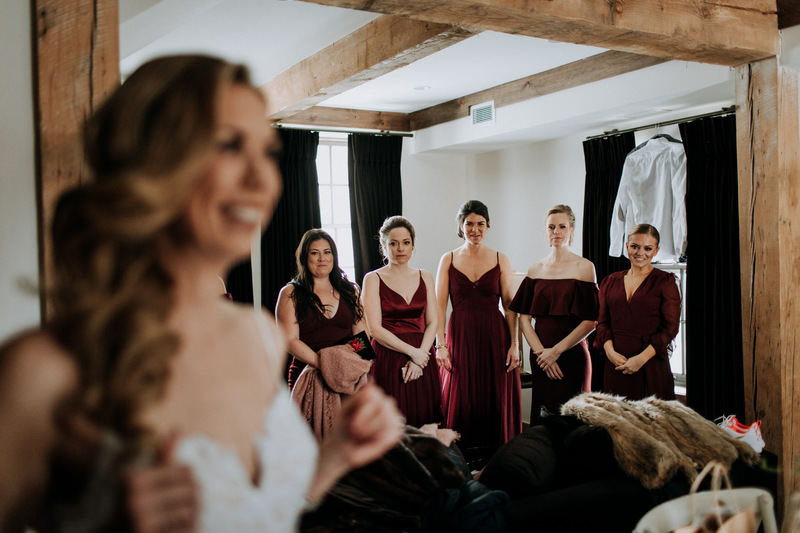 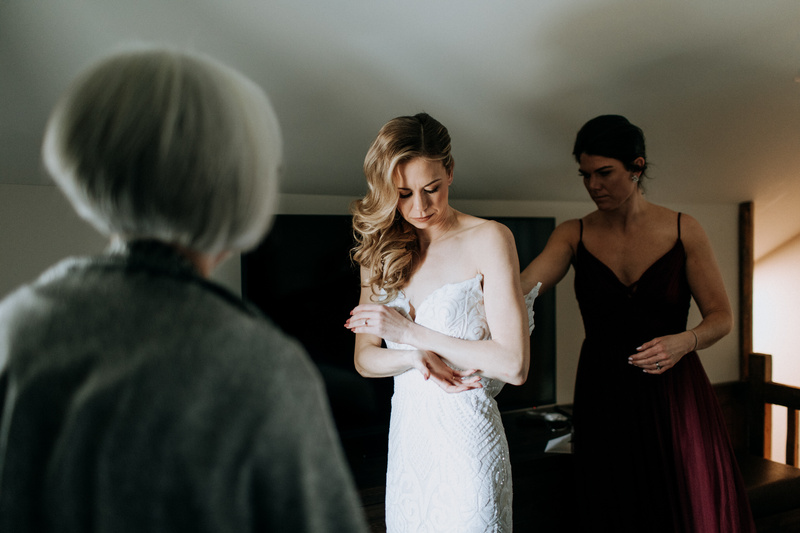 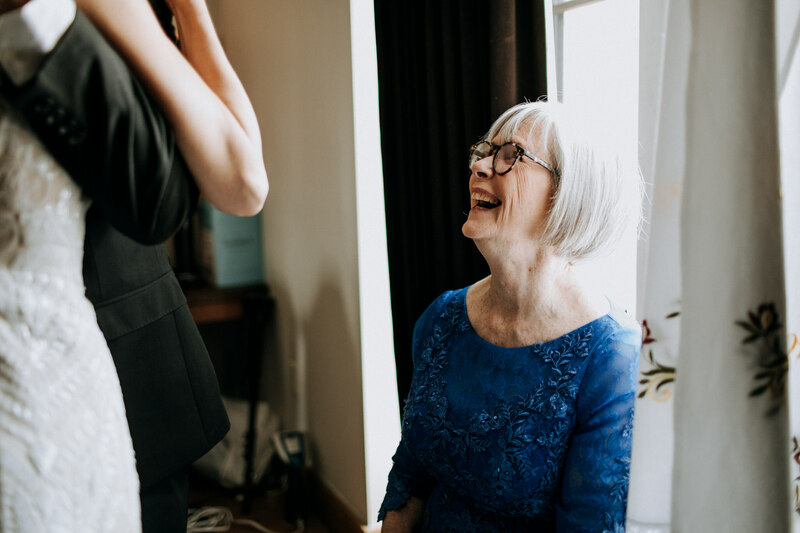 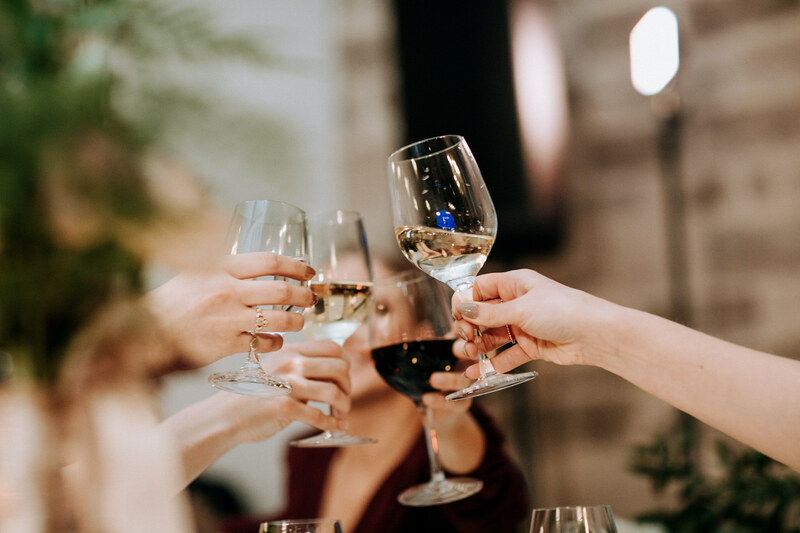 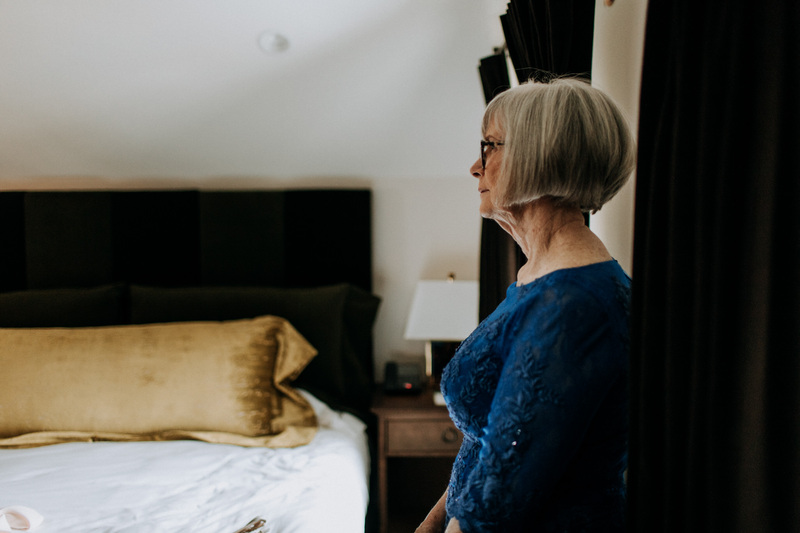 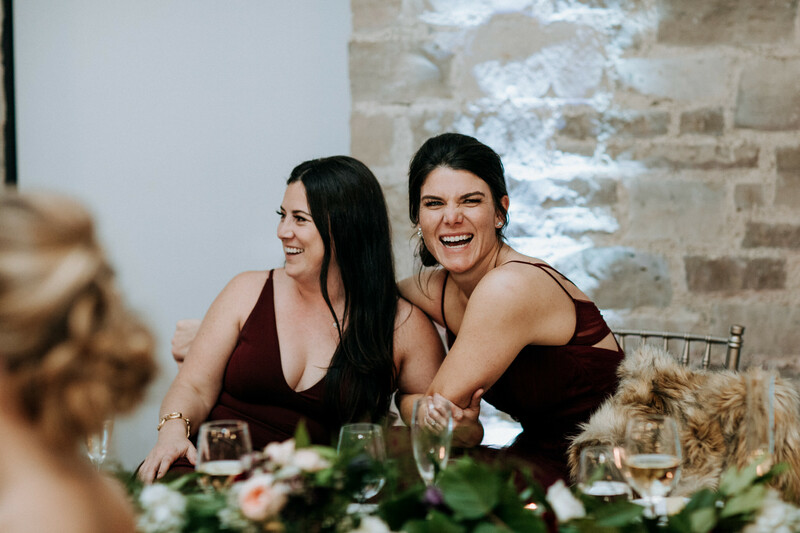 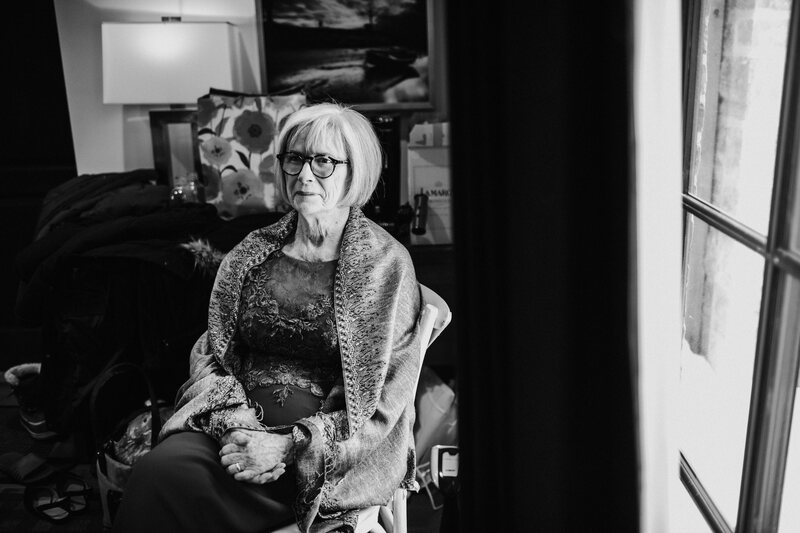 I made my way to Erin & her ladies who were getting ready at a beautiful little space on the Elora Mill Hotel grounds called the James Ross House. 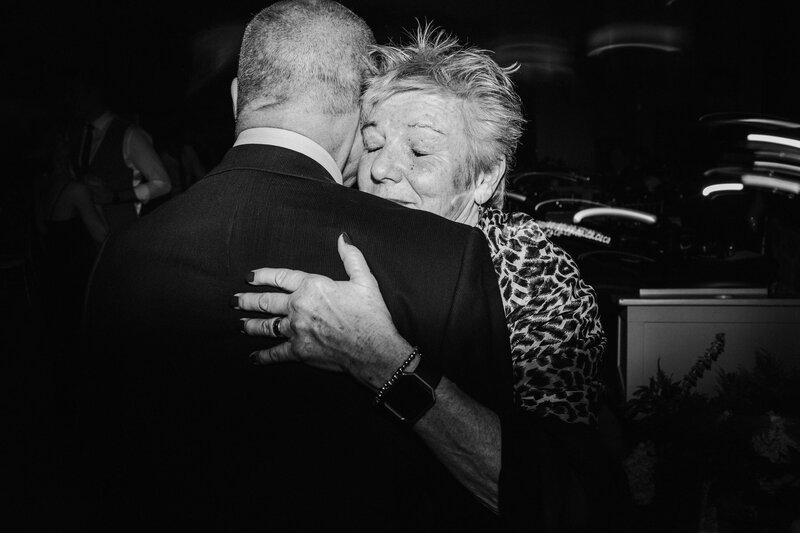 She welcomed me with a huge hug, smile, and the BEST energy. 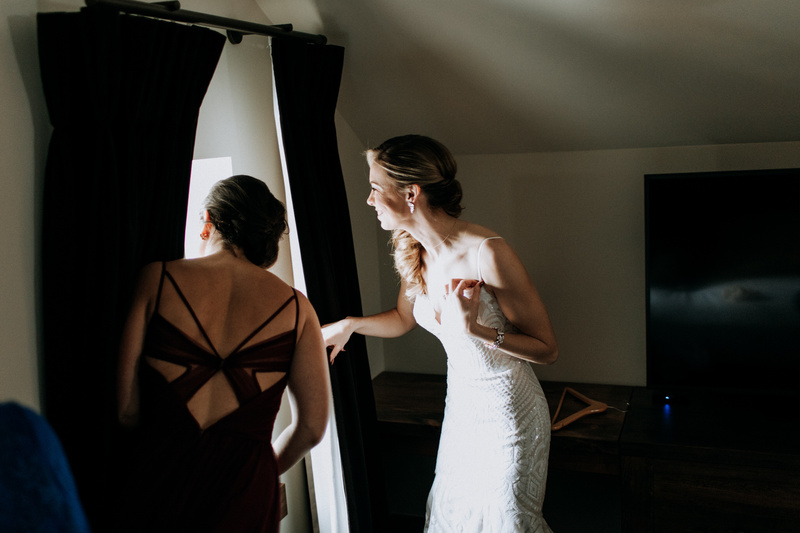 Her excitement couldn’t be contained as she got dressed and watched through a window as Nick arrived. 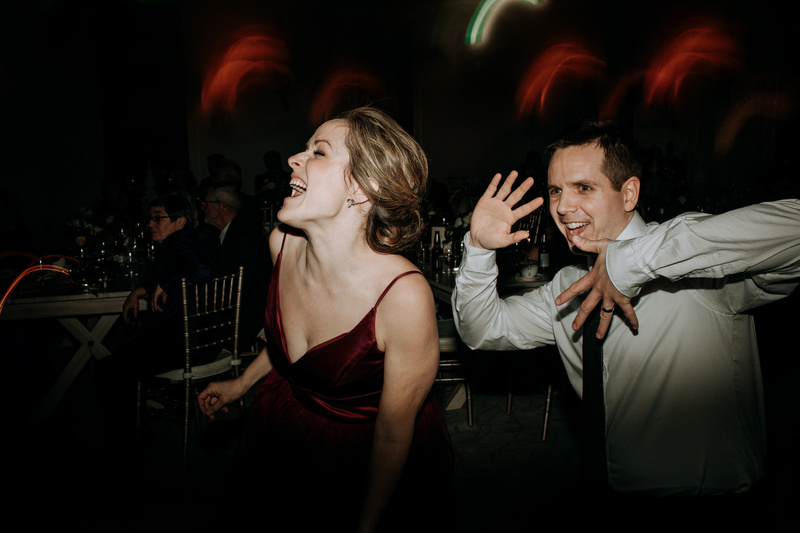 The good vibes just kept coming! 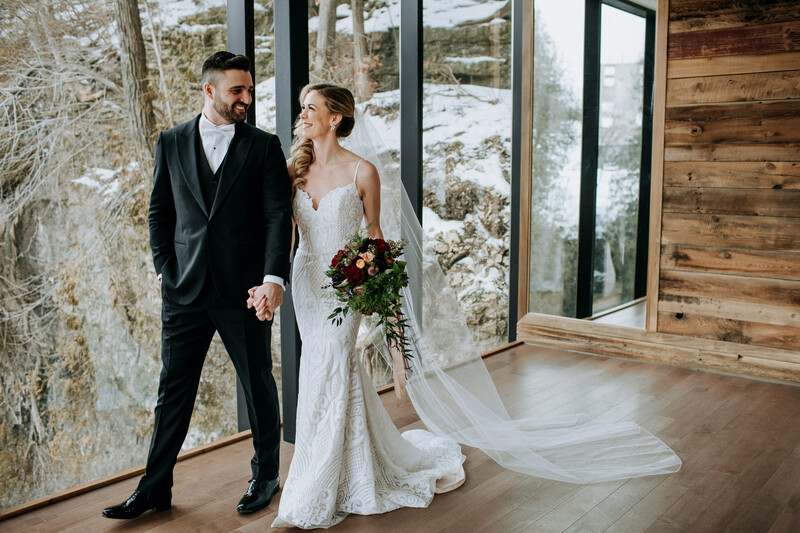 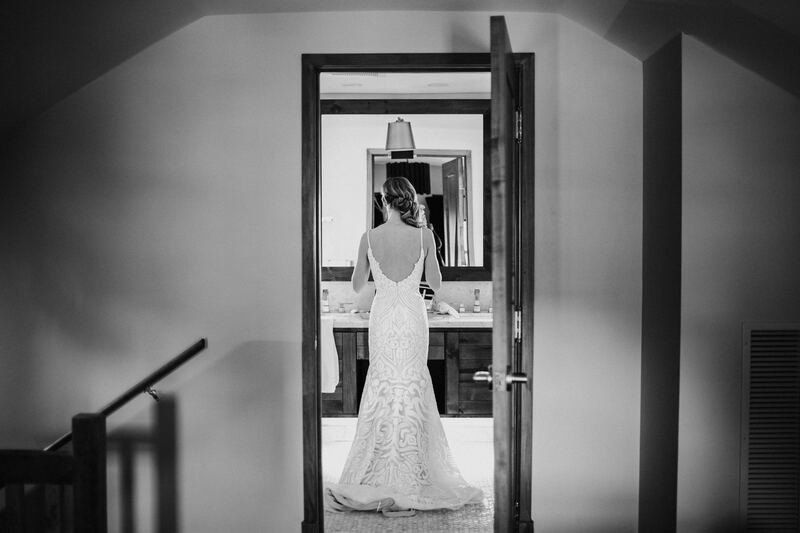 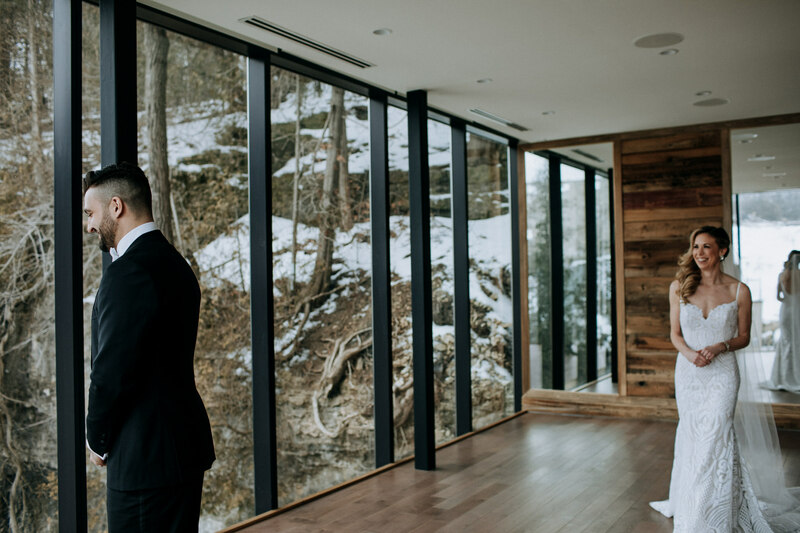 A romantic first look session in the Spa’s yoga room overlooking Elora Gorge was the perfect way to officially launch the wedding’s events. 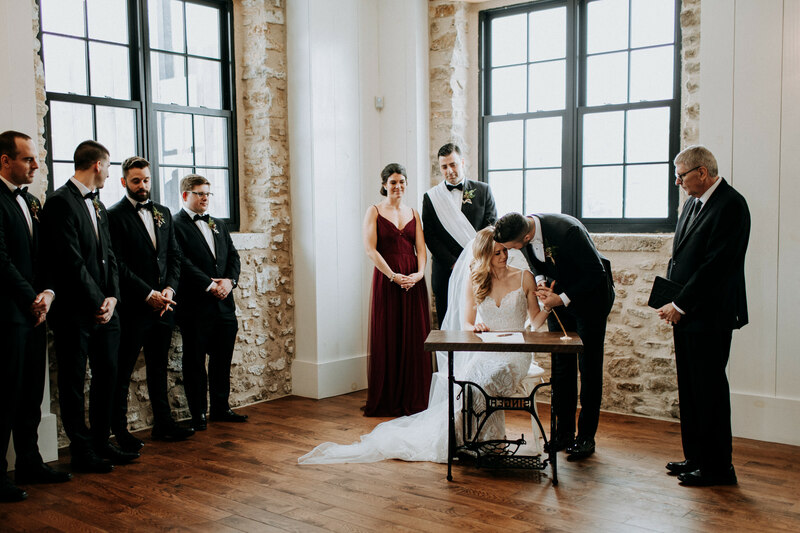 I don’t think I could have dreamed of a better moment to photograph or space to do so. 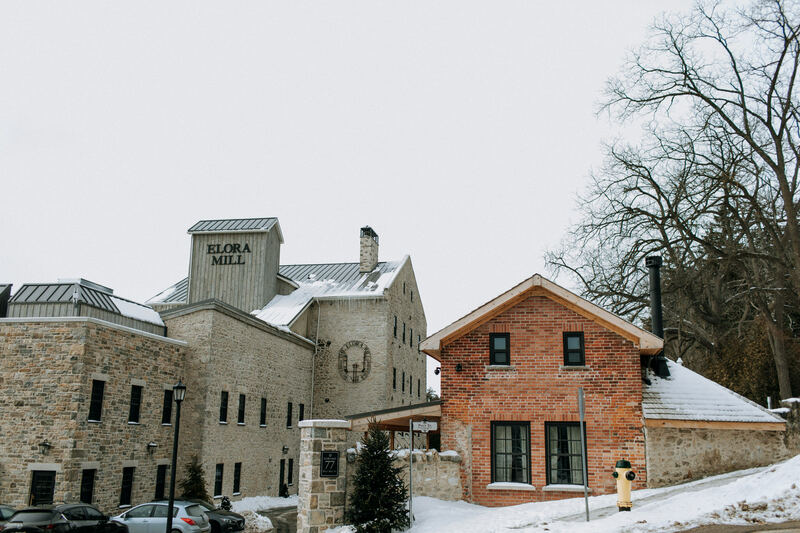 A HUGE thank you to the Elora Mill Hotel & Spa’s co-ordination team and staff for making sure we were so well taken care of.